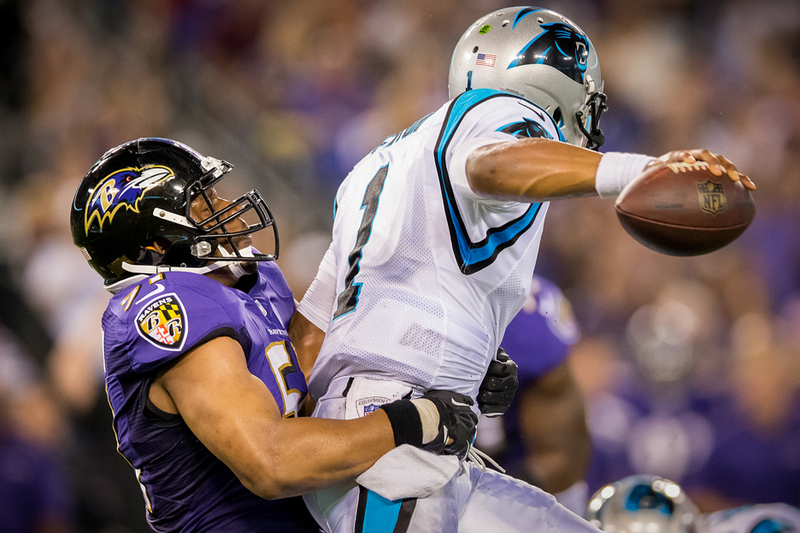 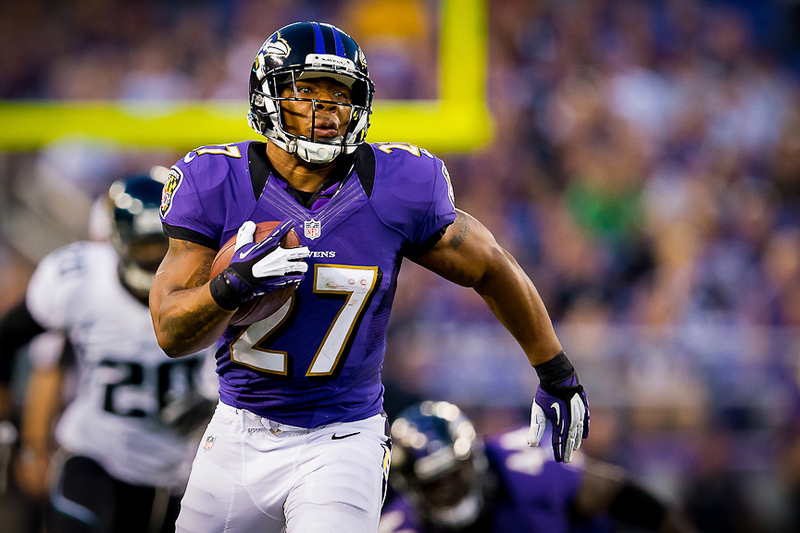 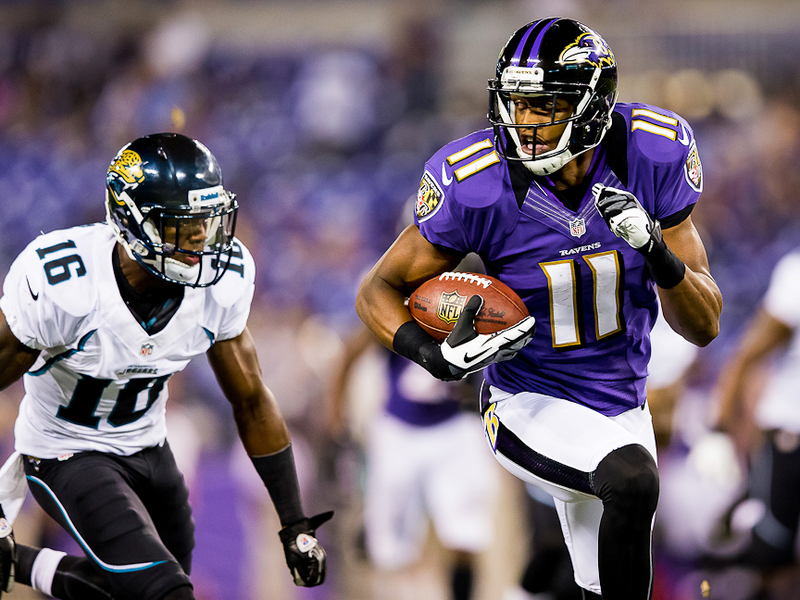 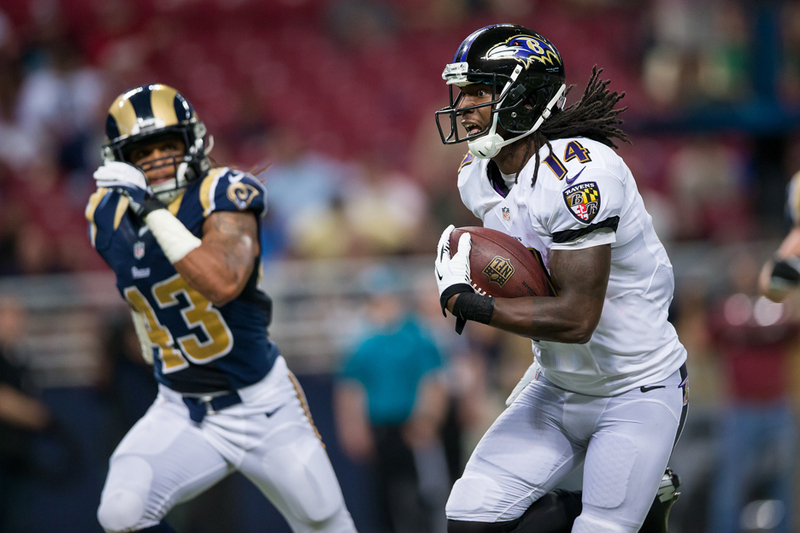 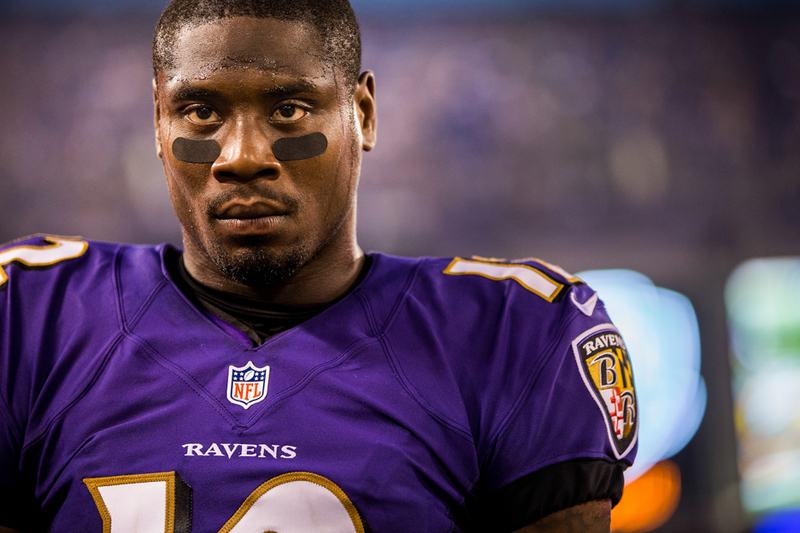 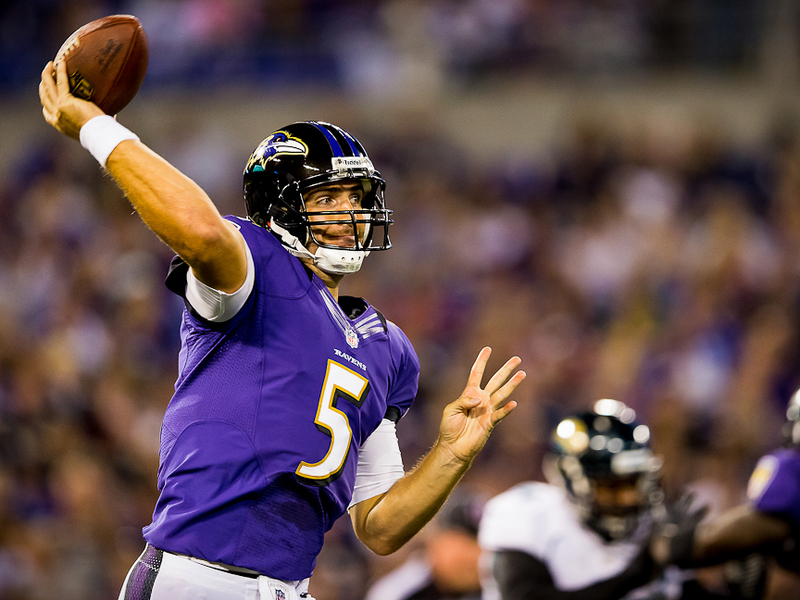 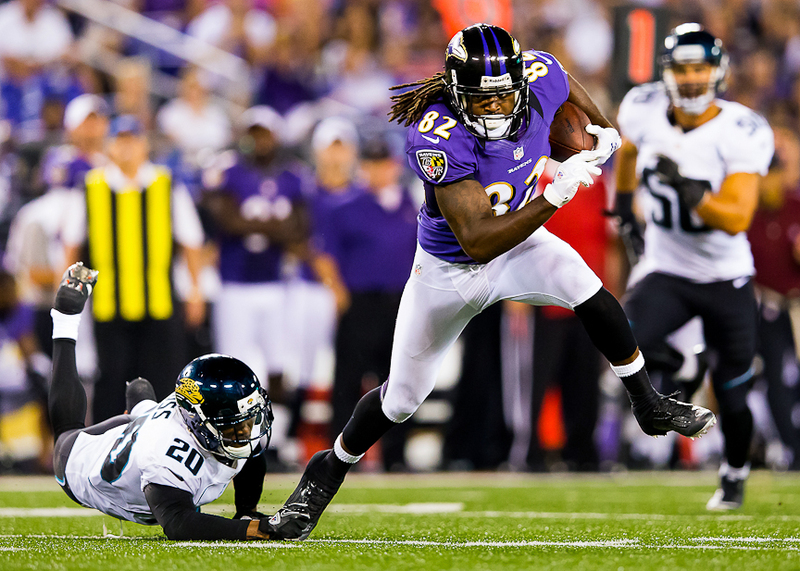 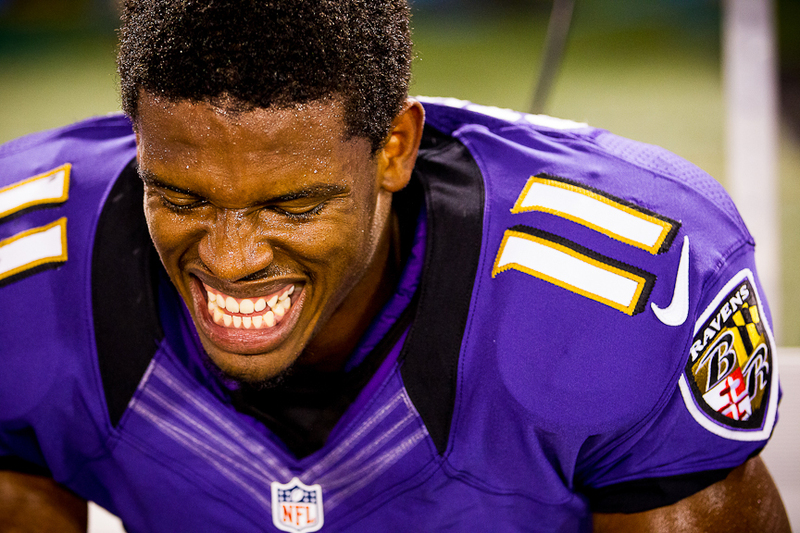 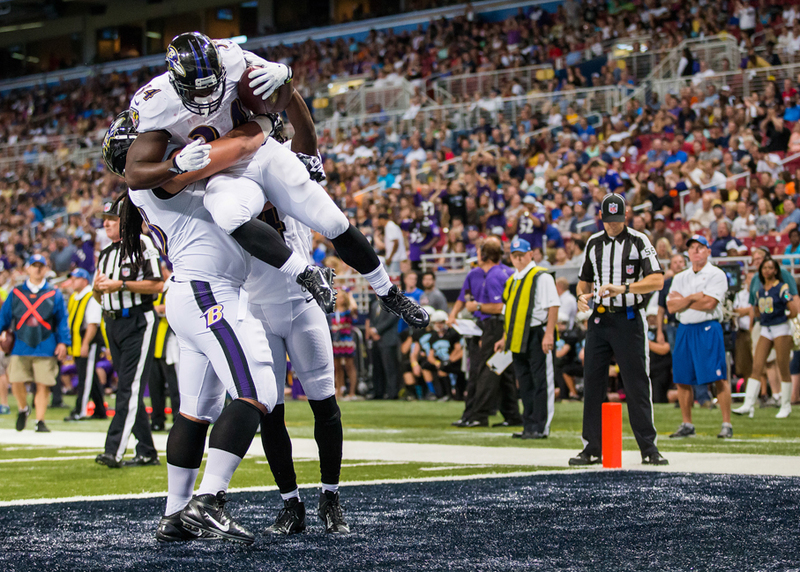 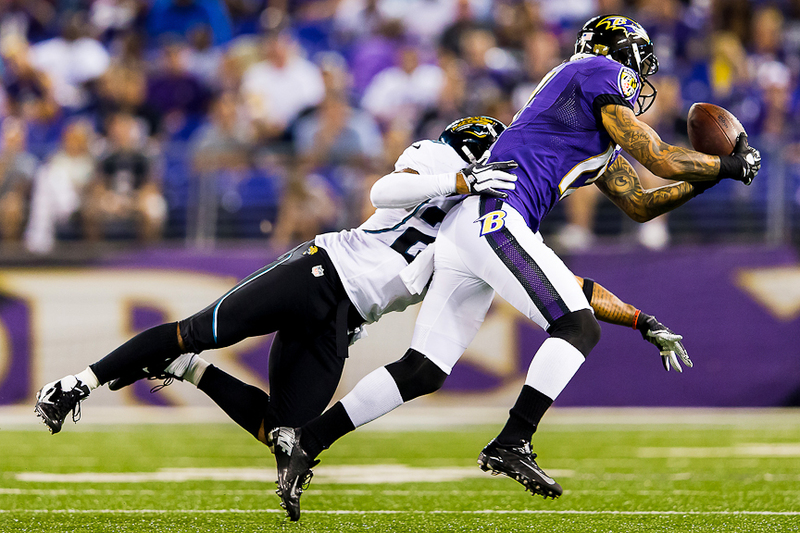 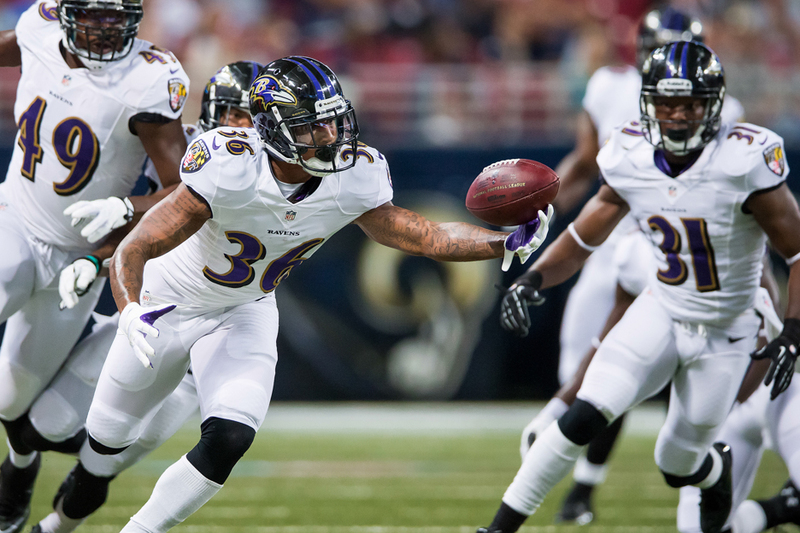 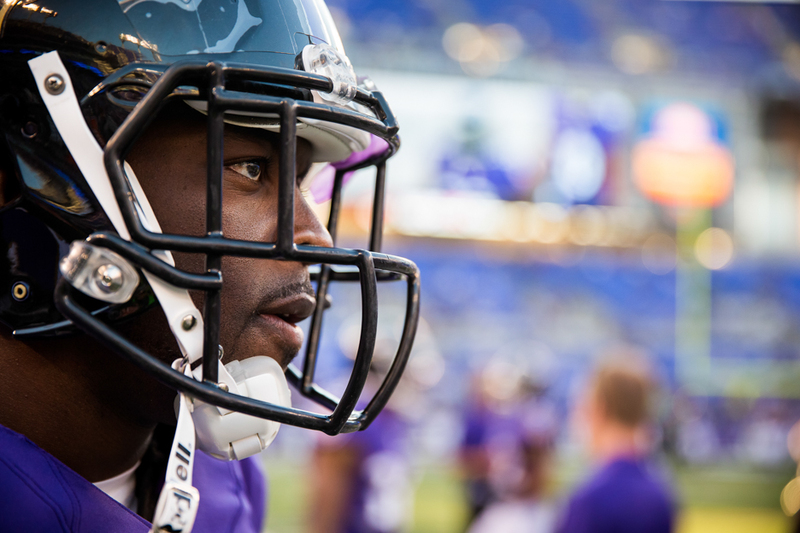 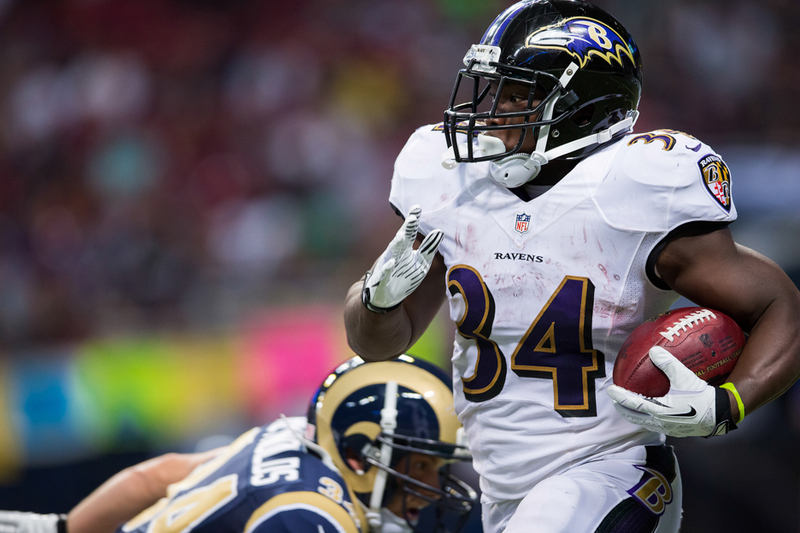 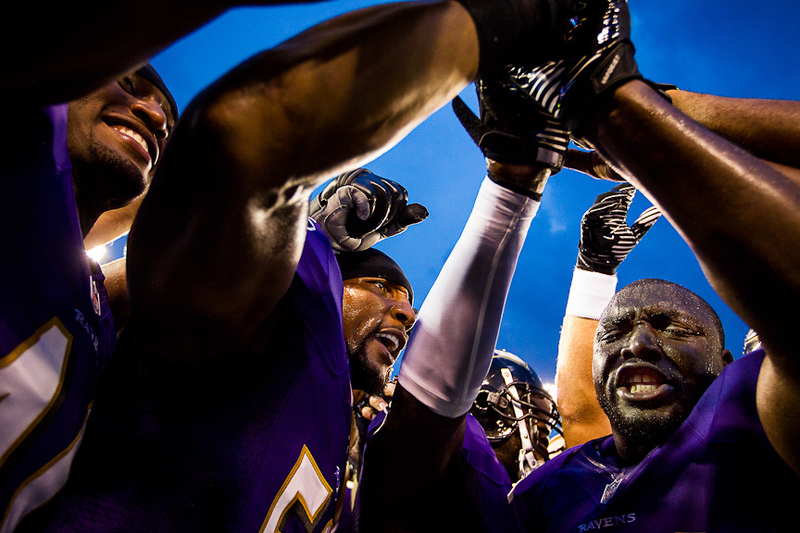 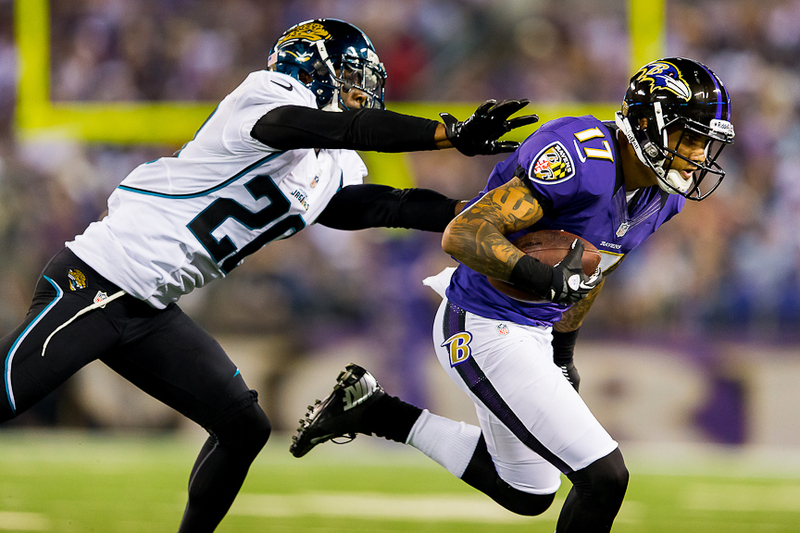 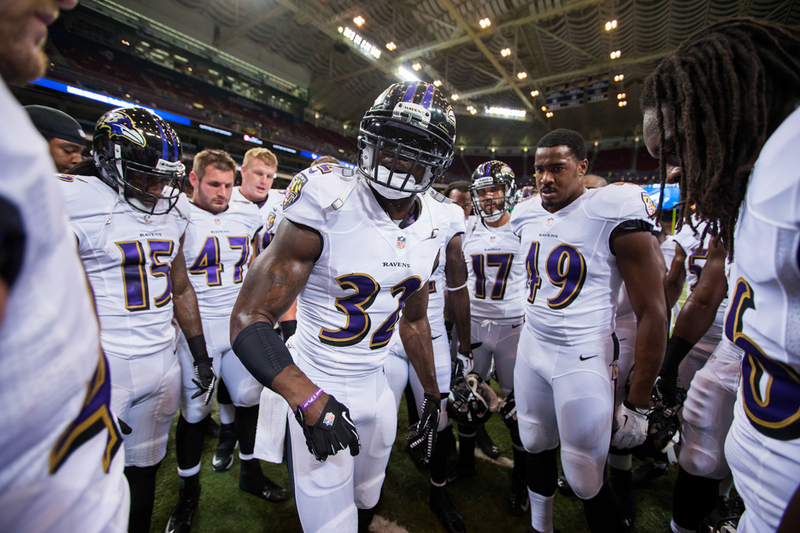 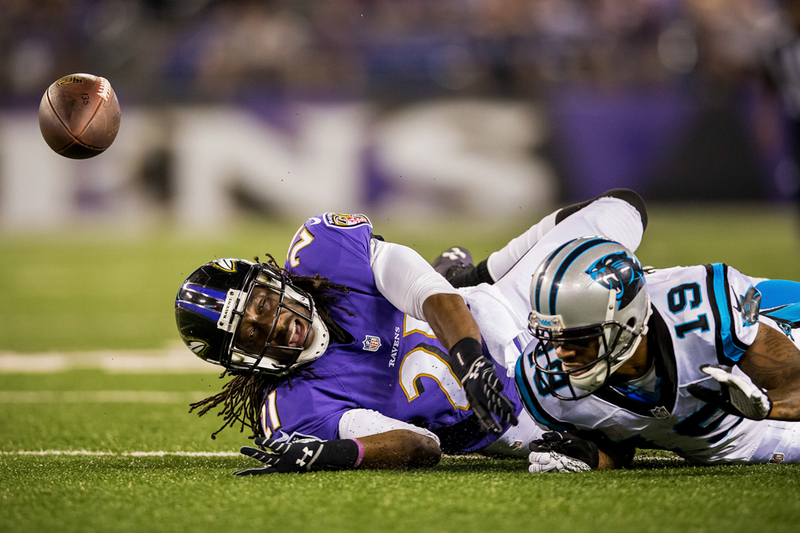 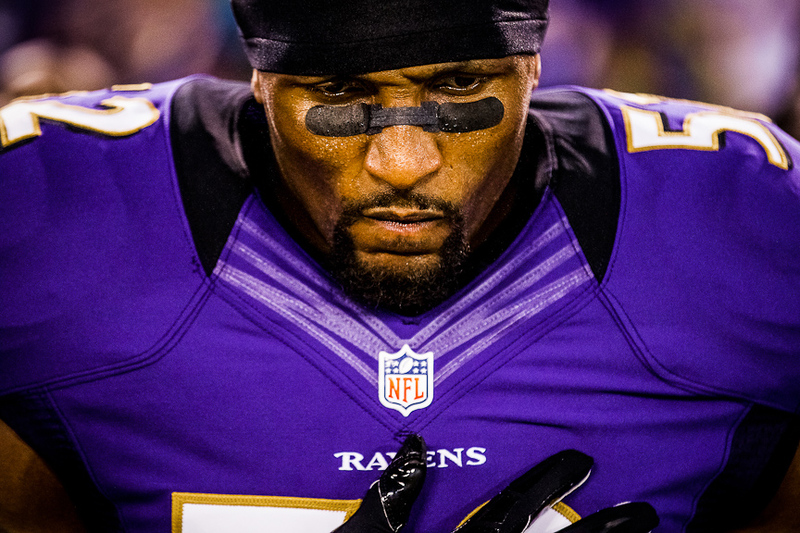 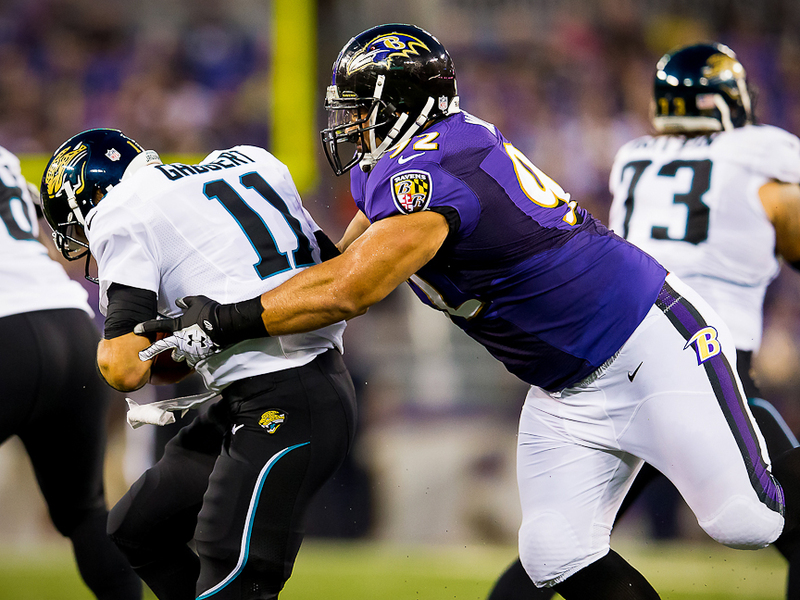 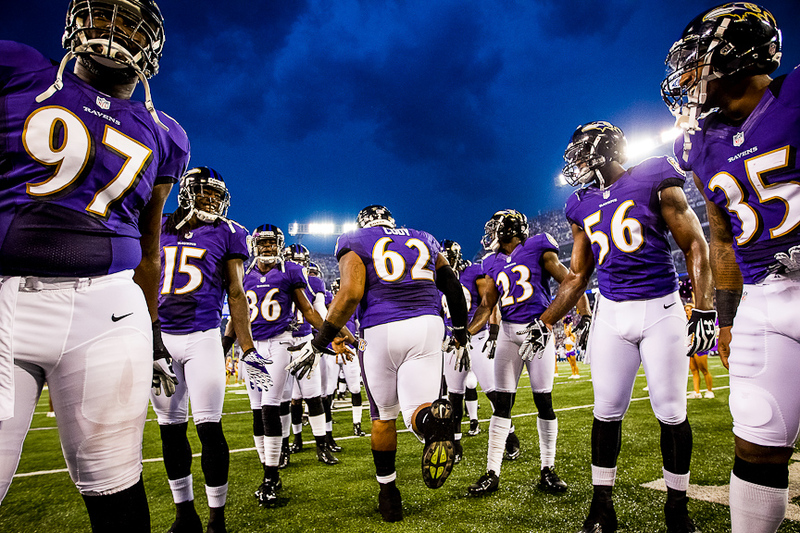 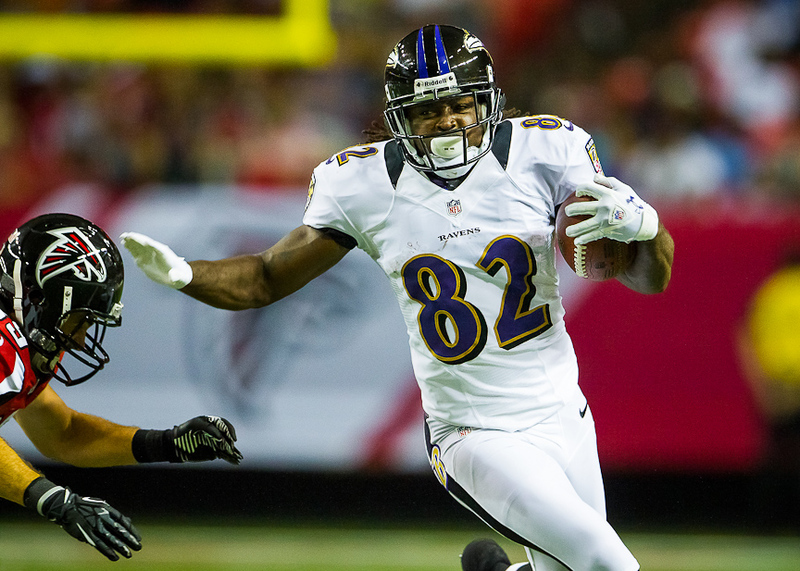 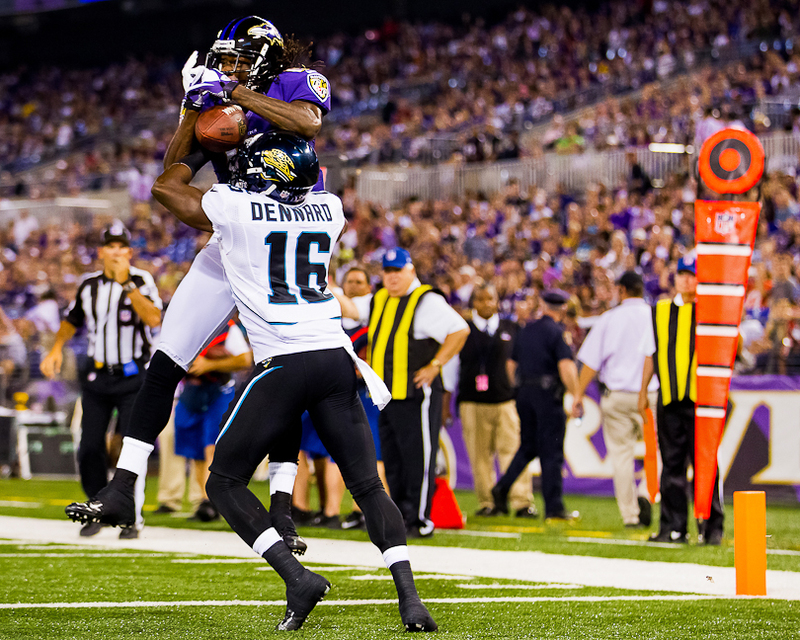 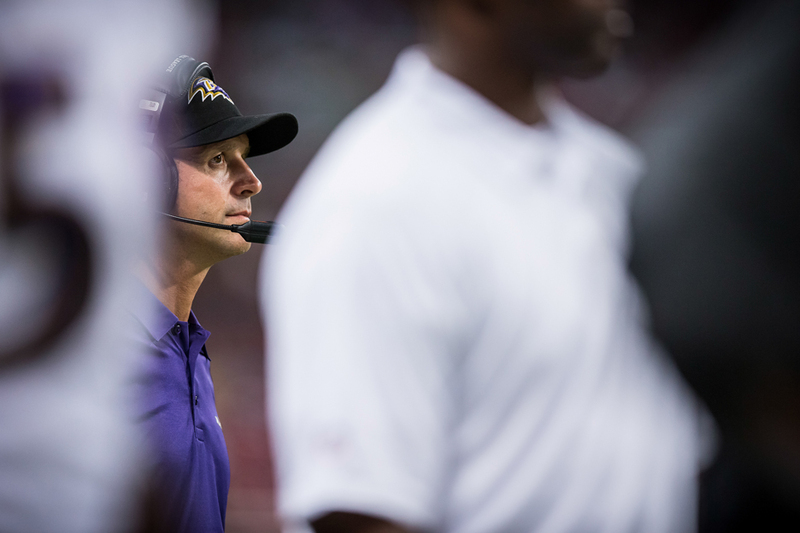 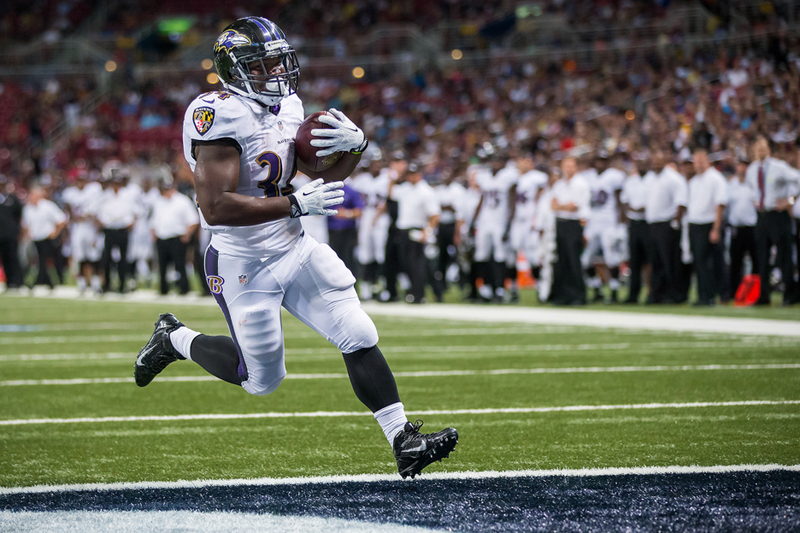 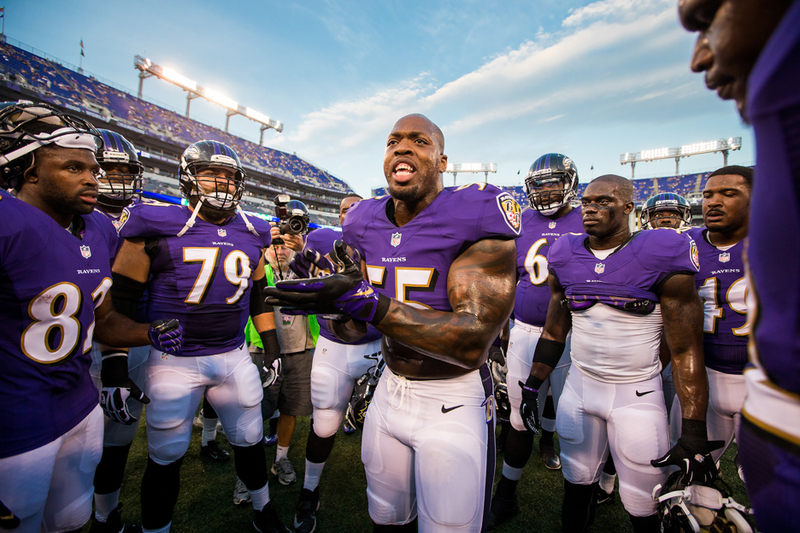 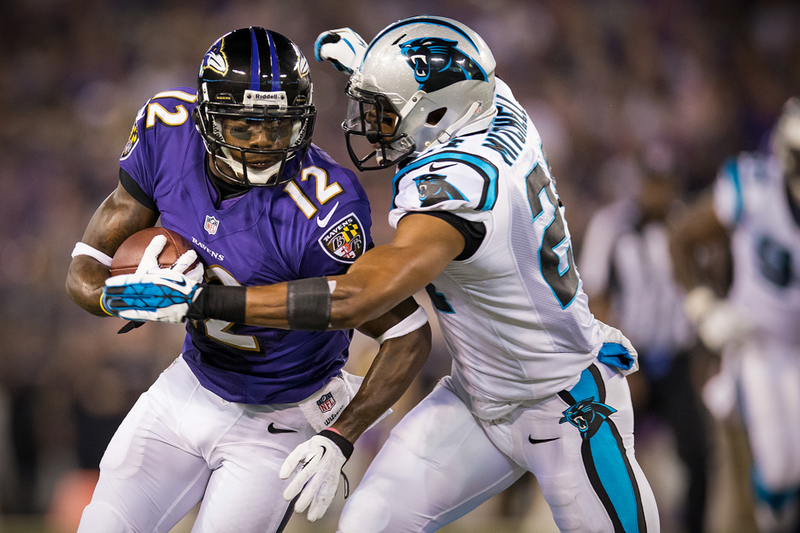 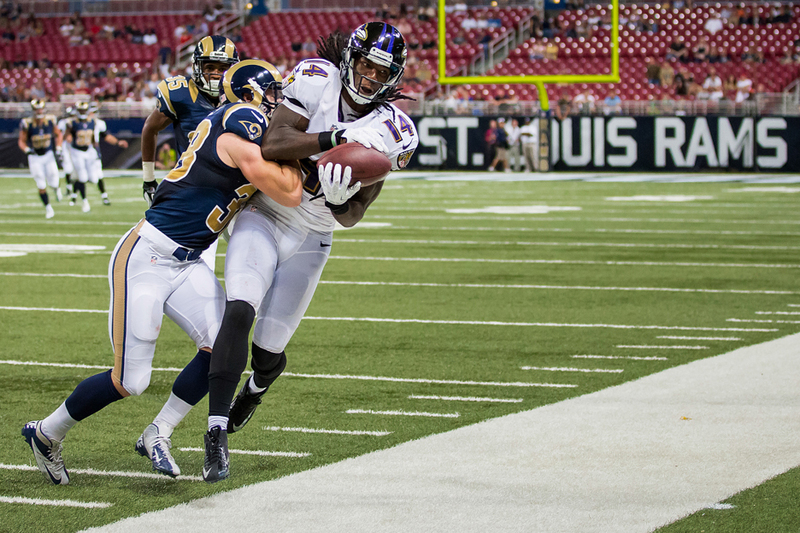 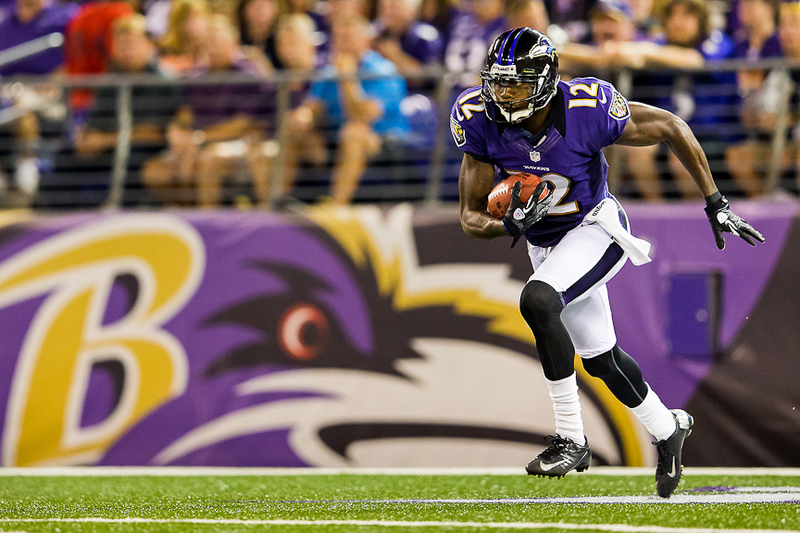 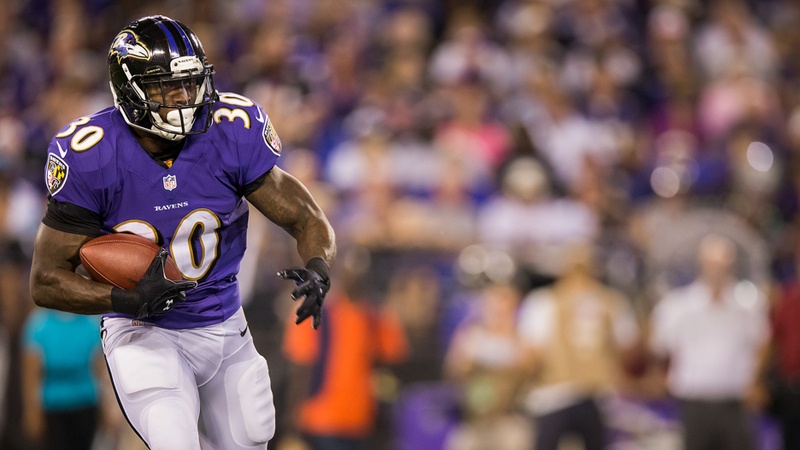 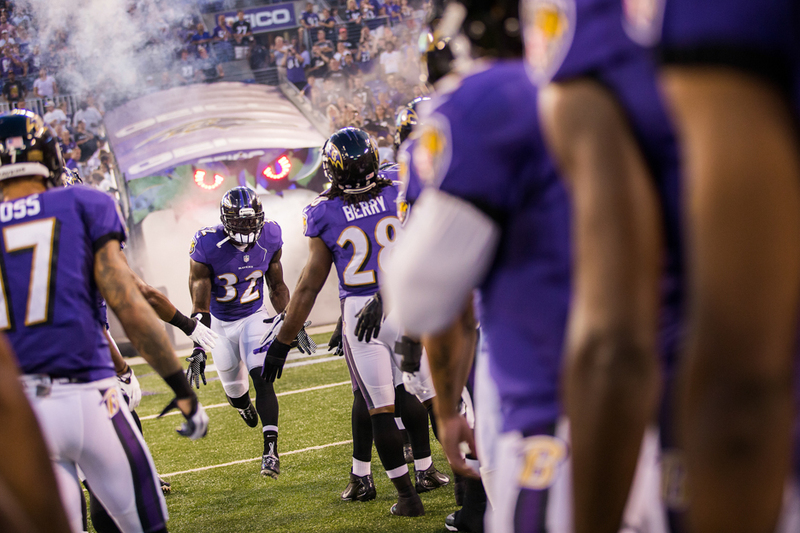 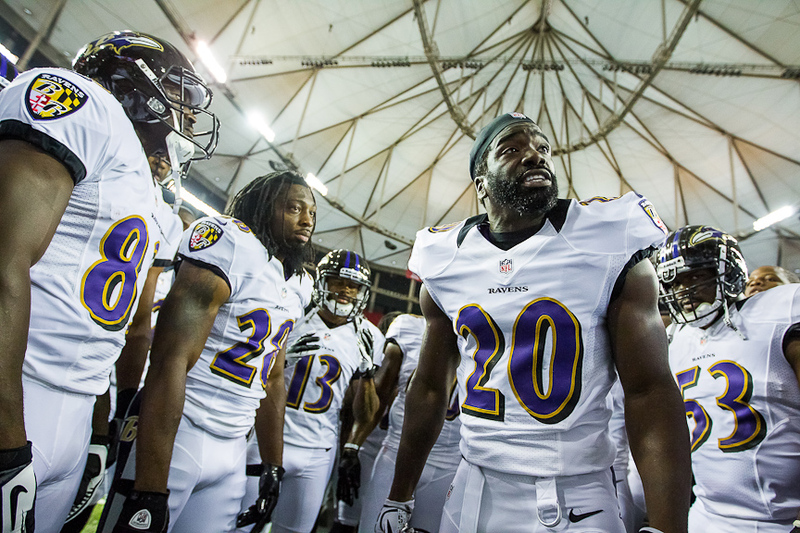 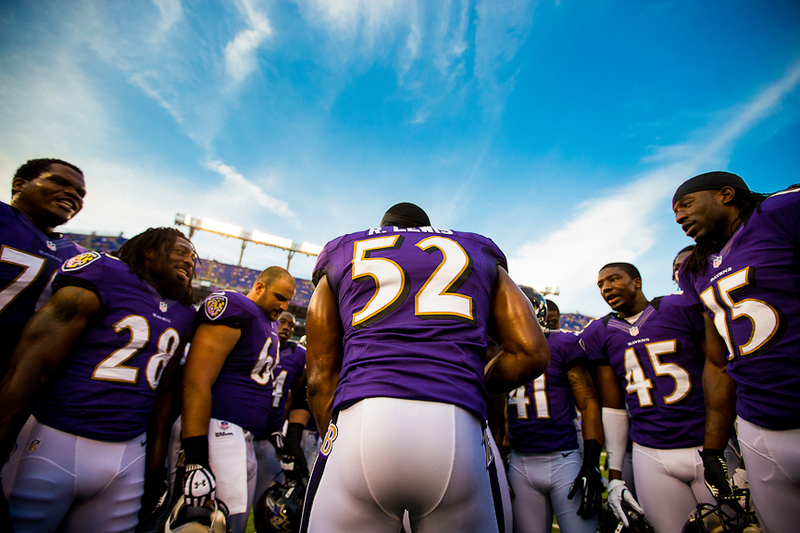 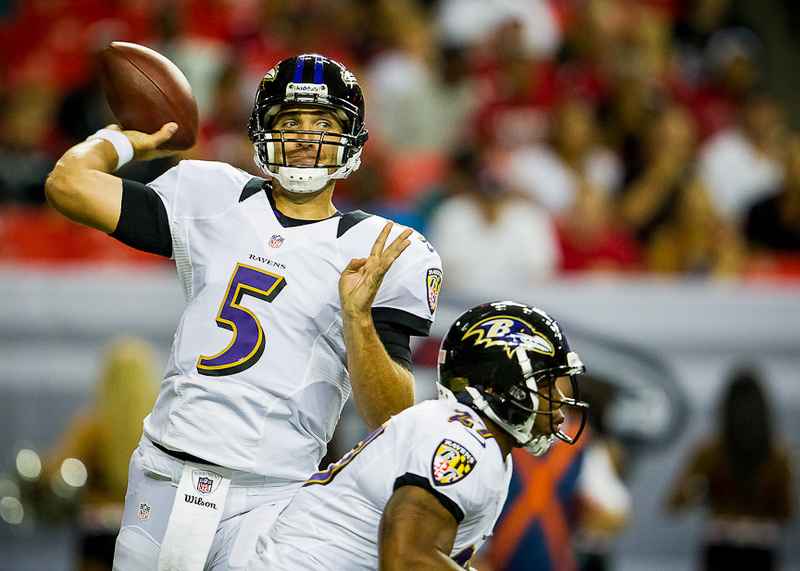 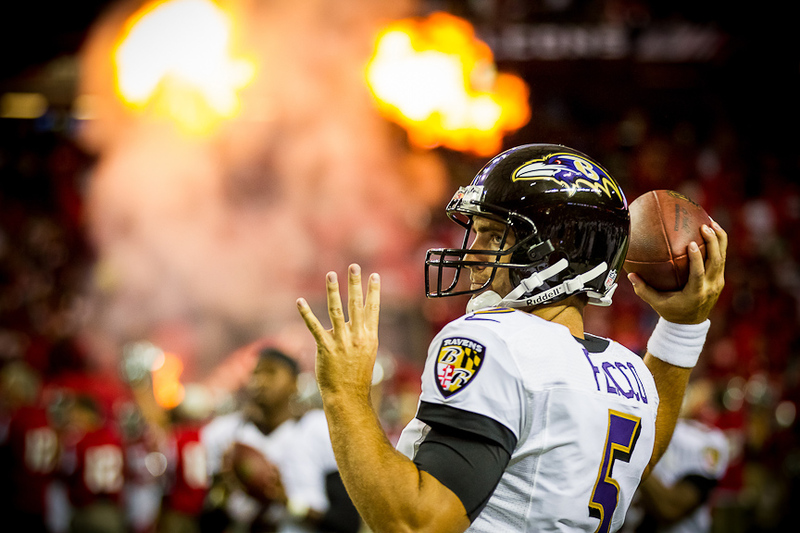 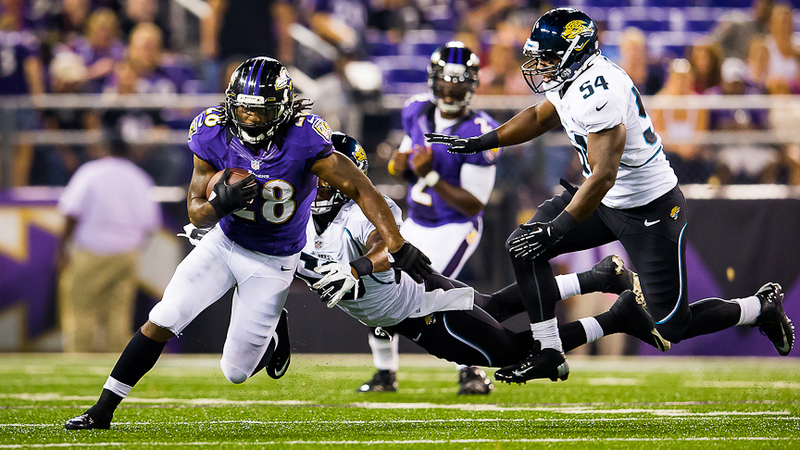 The Ravens hosted the Jaguars in another preseason game last Friday. 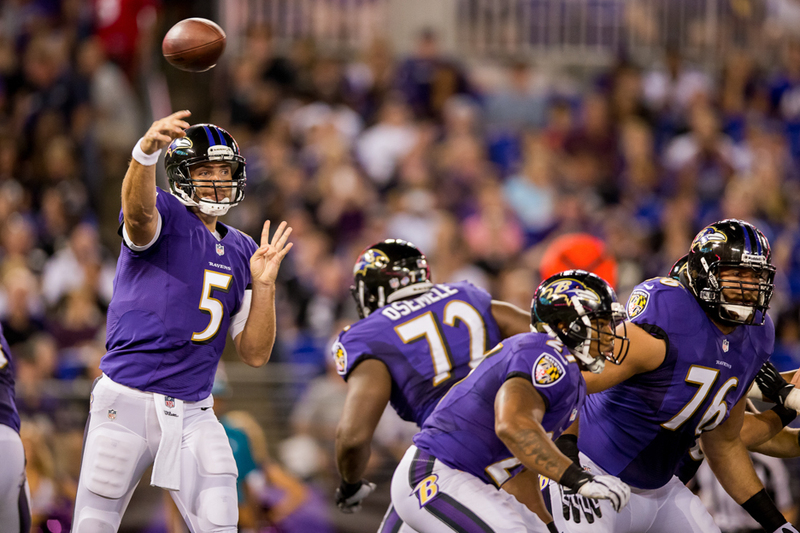 There is nothing too remarkable about the preseason, but the Ravens played well and overall this was a fun game to shoot. 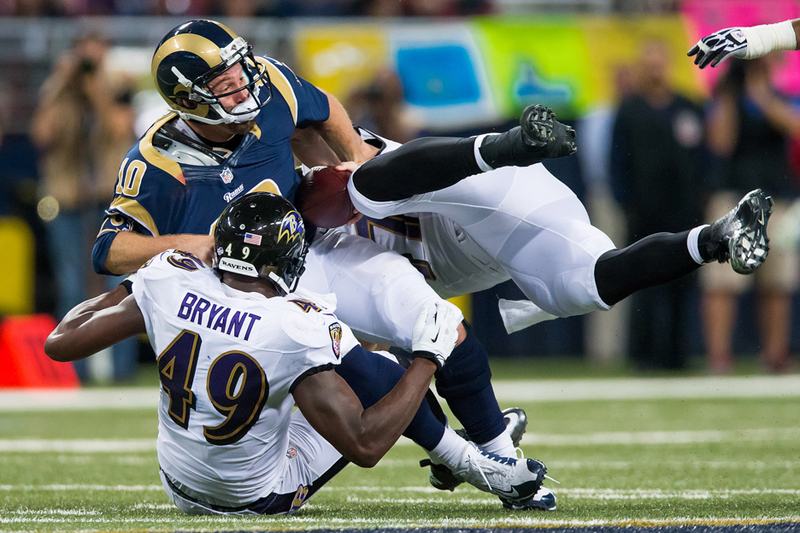 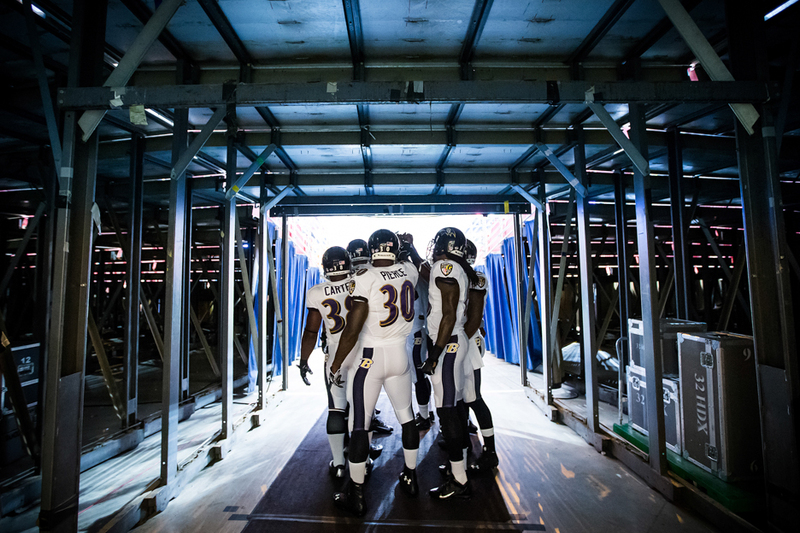 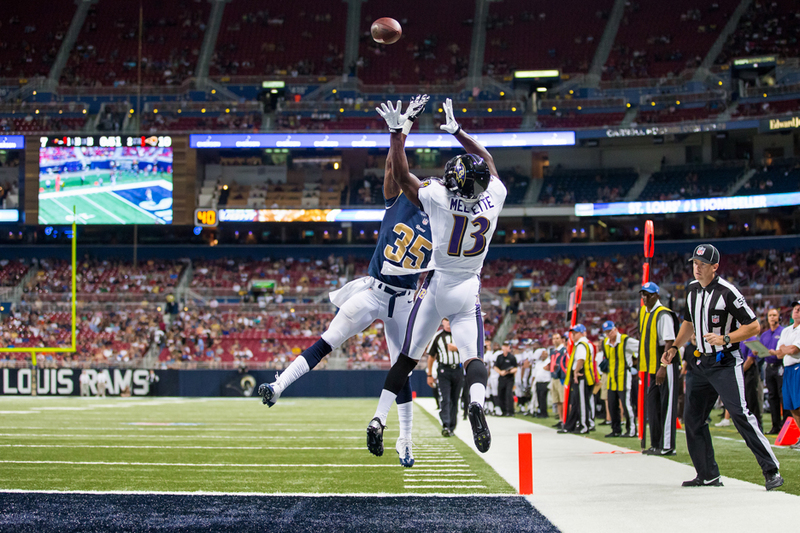 I’m on the road with the Ravens in St. Louis today and I’ll be shooting the game against the Rams later tonight. 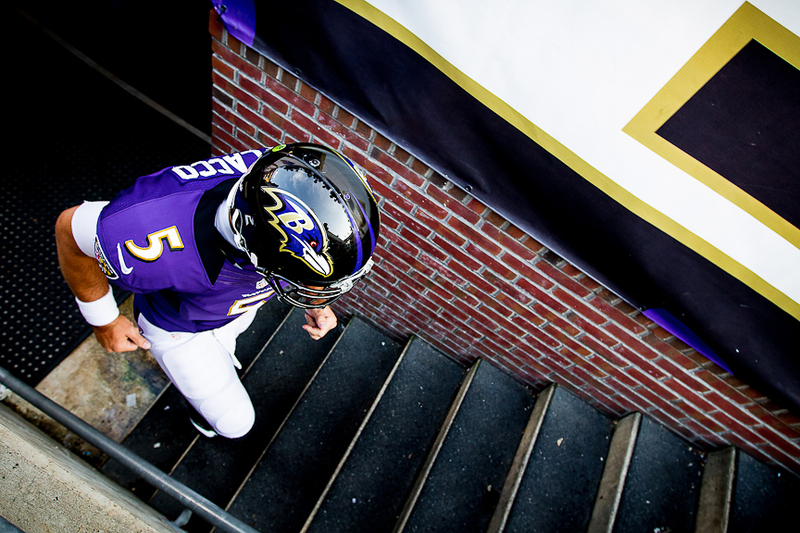 I’m shooting marketing images for the race promoters all weekend. 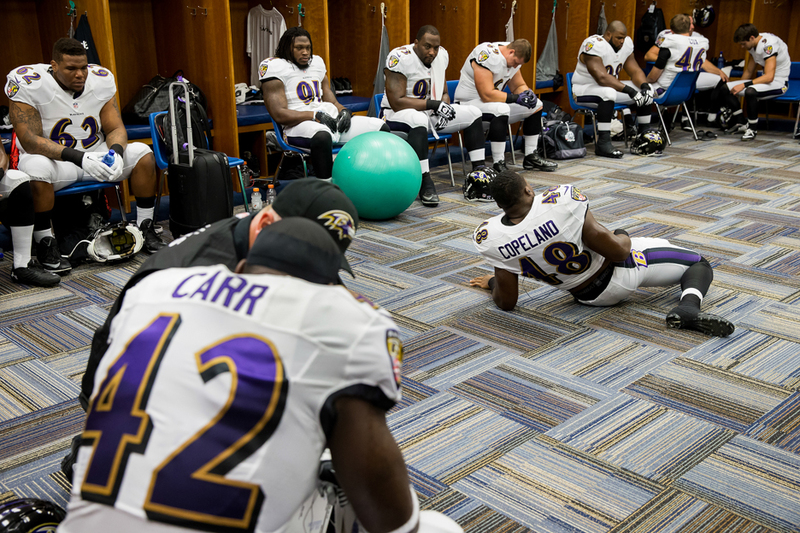 Should be a fun gig. 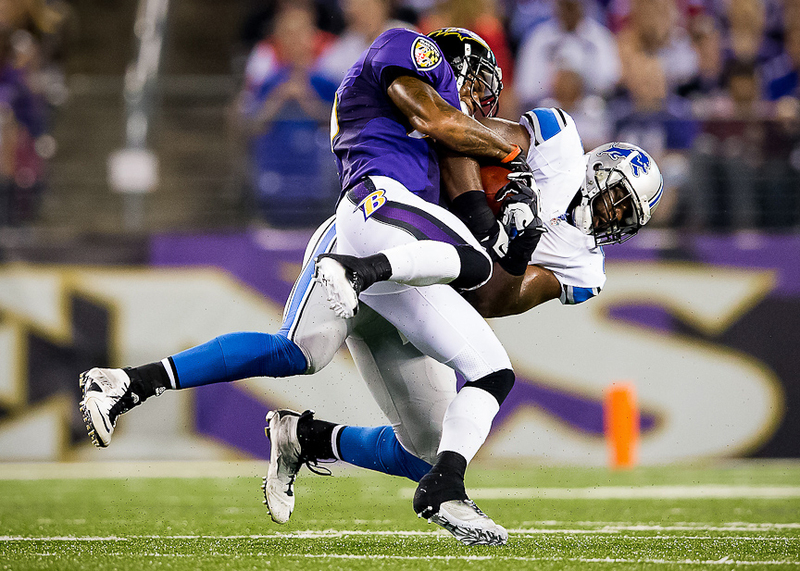 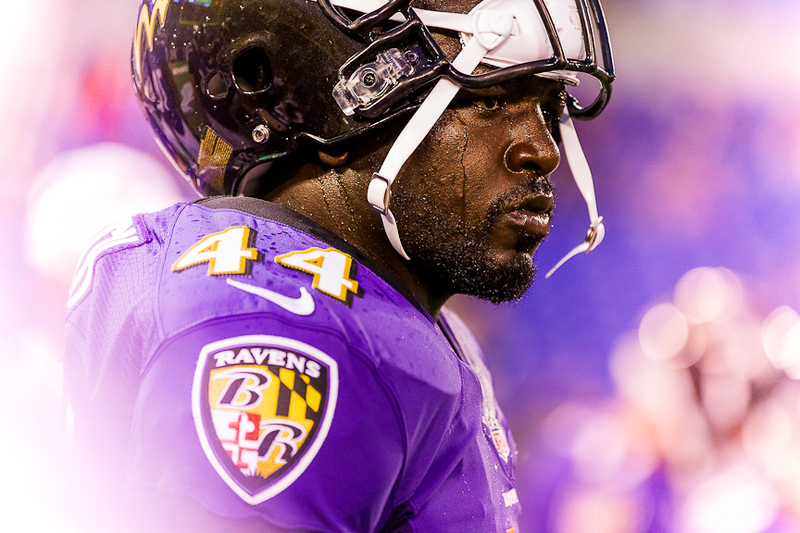 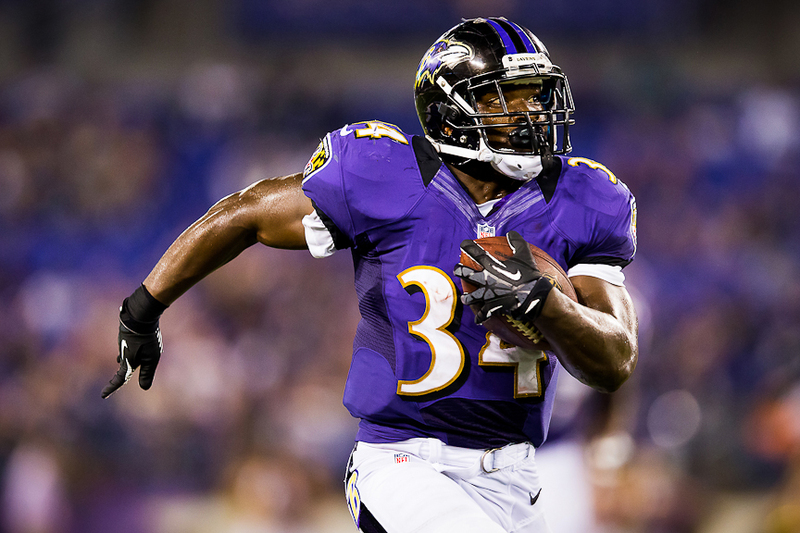 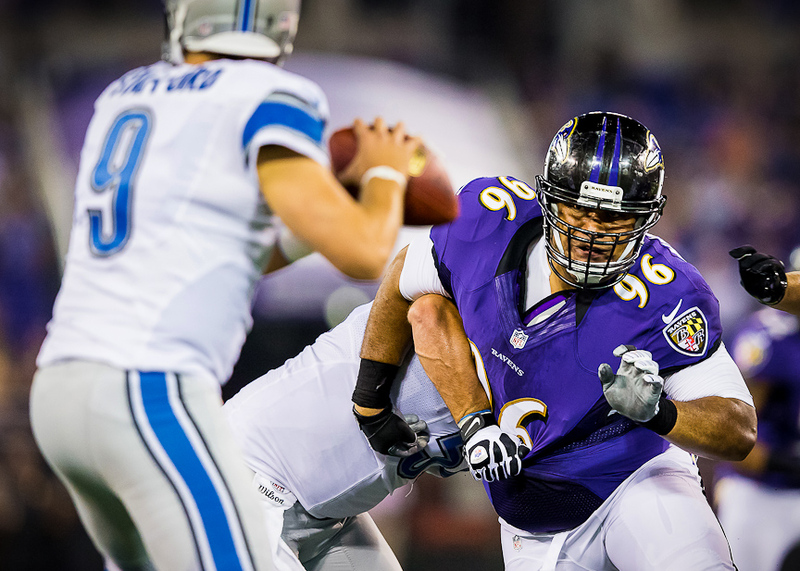 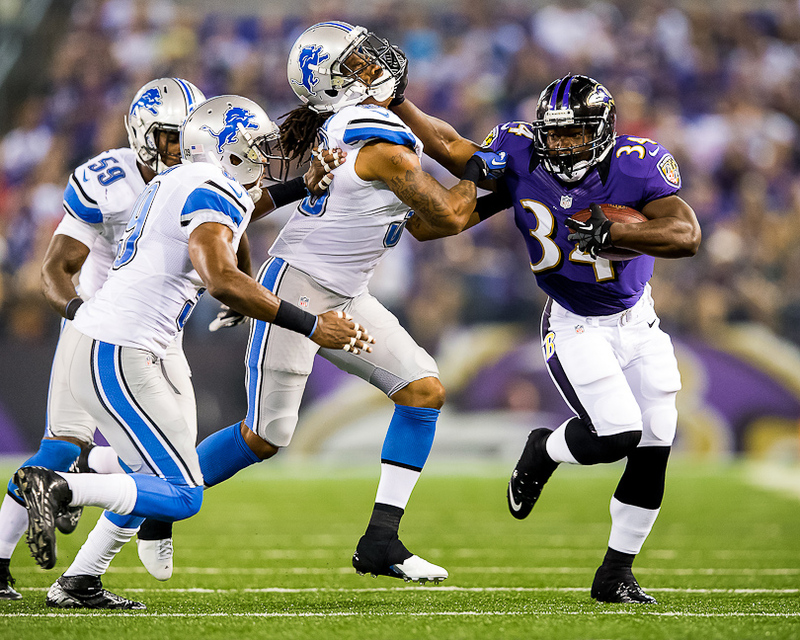 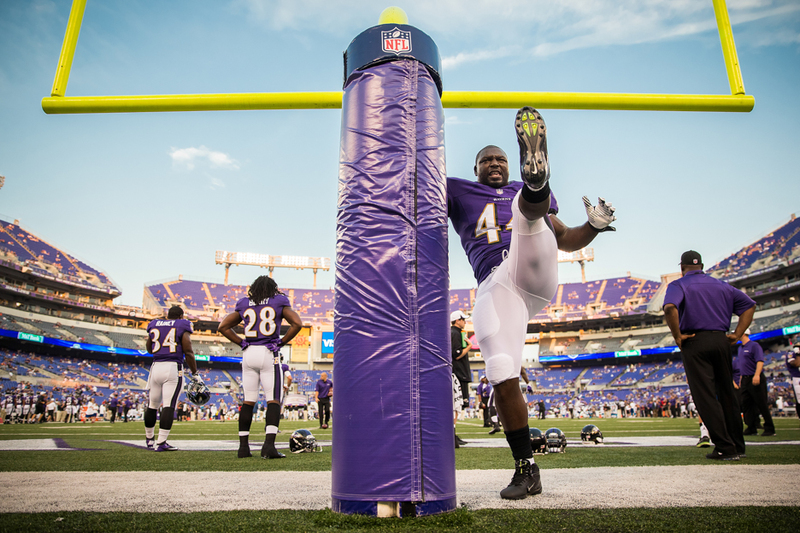 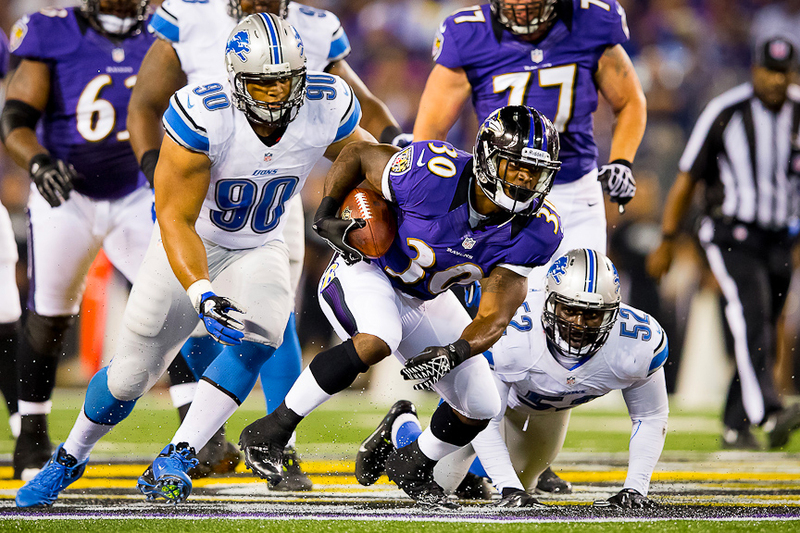 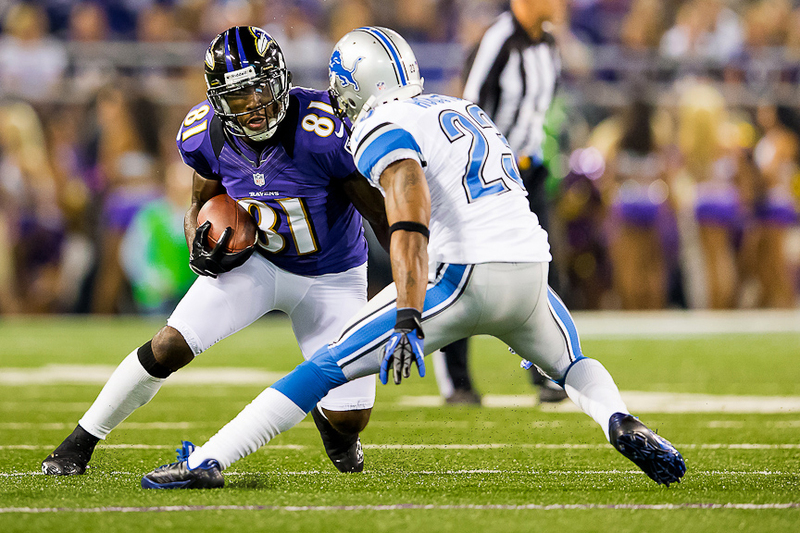 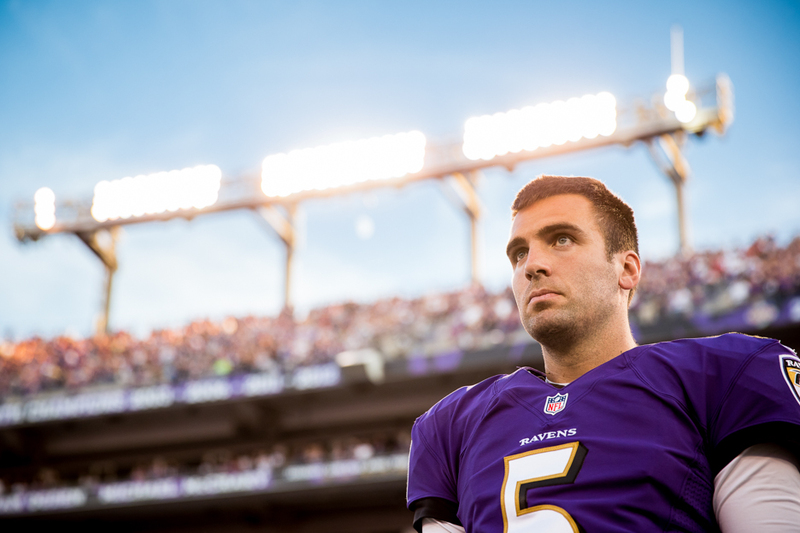 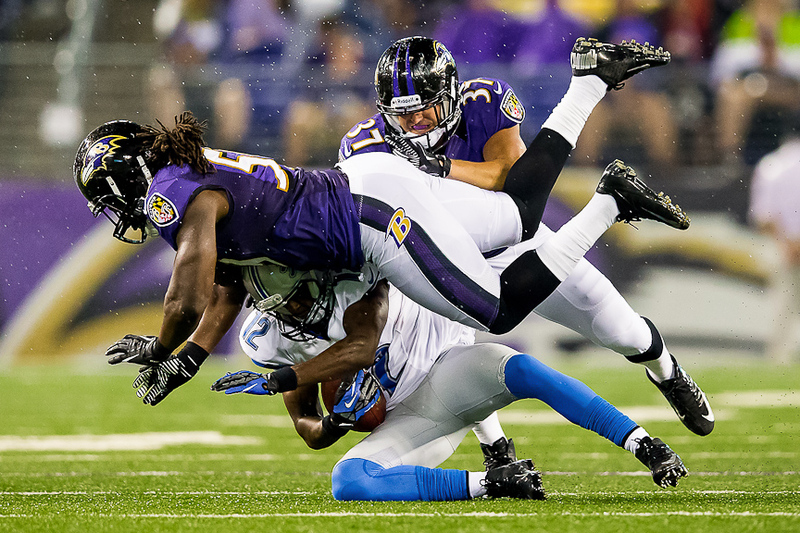 The Ravens had their first home preseason game on a somewhat rainy night last friday against the Detroit Lions. 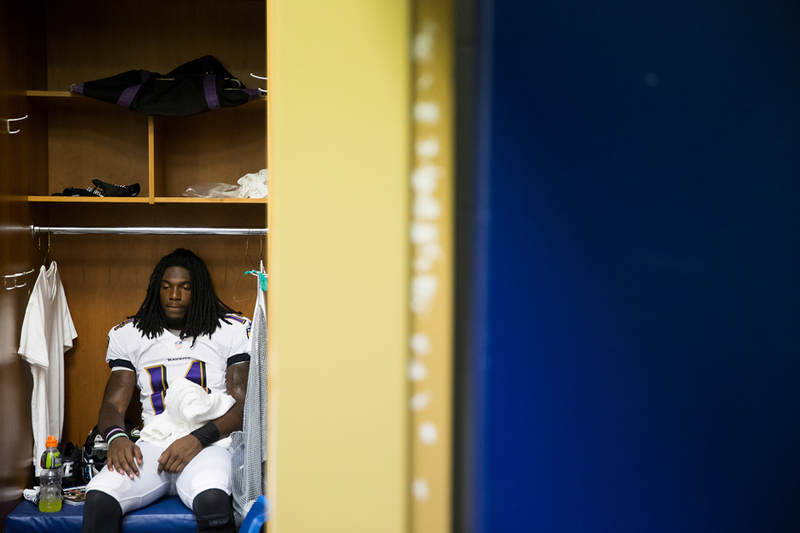 I typically don’t like to shoot in the rain. 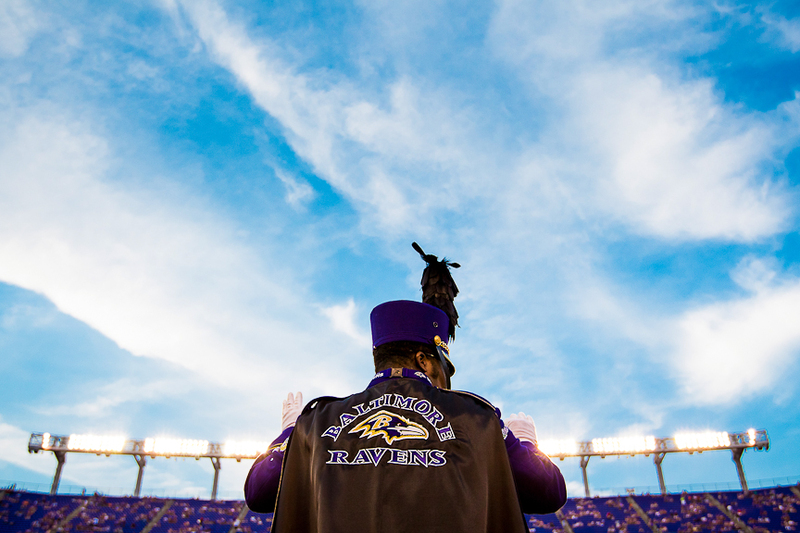 Despite having equipment that can tolerate getting wet, it complicates everything I do while shooting and generally makes it harder or impossible to do some of the things I normally do on gamedays. 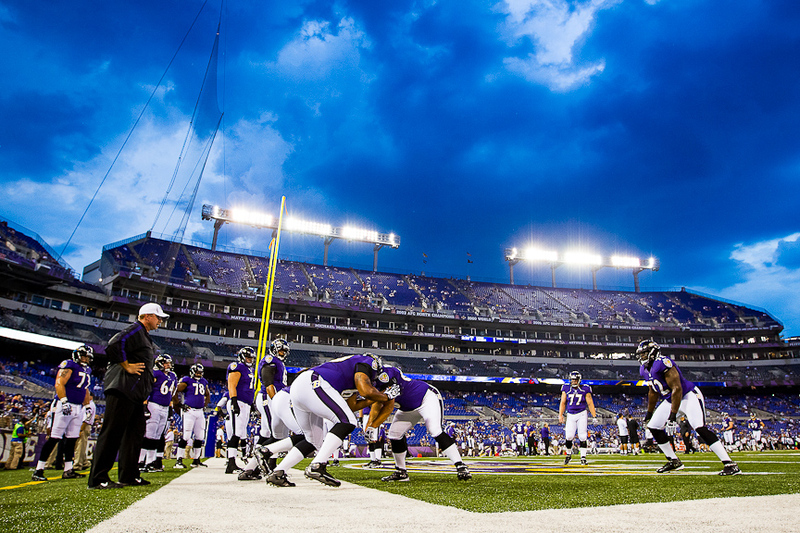 However, the rain was escorted in by a vibrant blue sky which made a perfect backdrop for some nice pre game images. 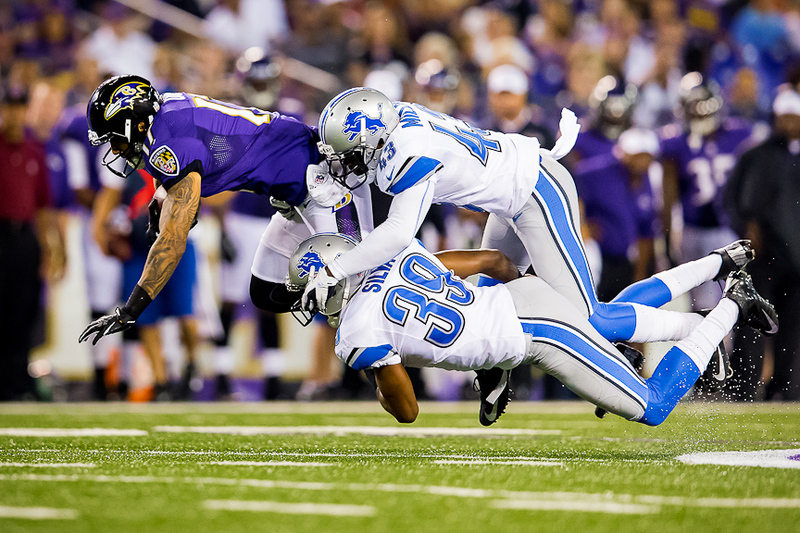 It also seemed oddly appropriate that the sky was nearly identical to the color of the Lions uniforms who ended up winning the game. 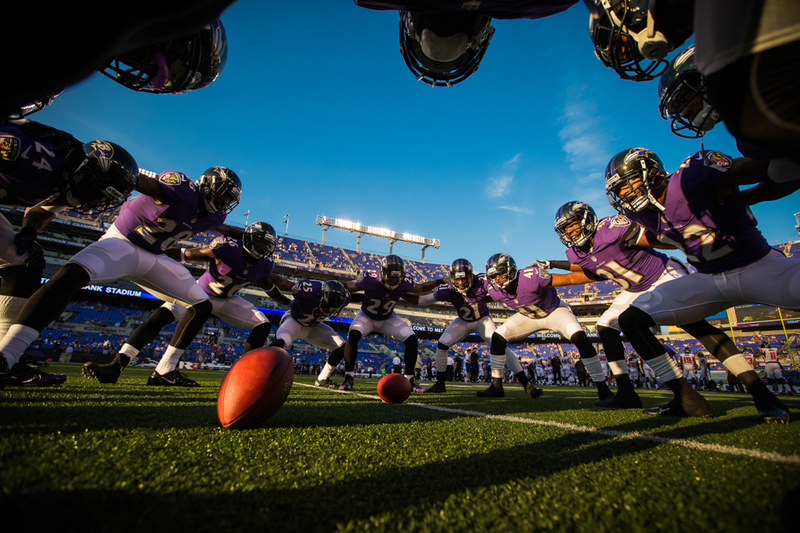 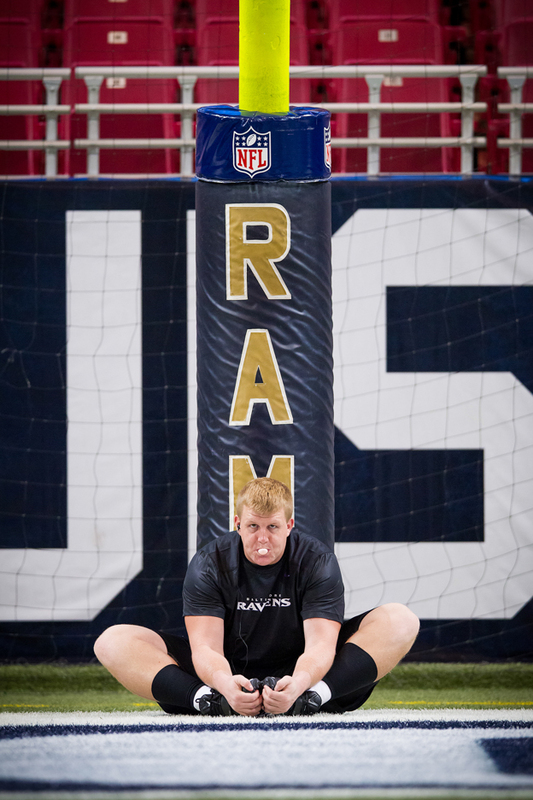 I was really excited to shoot this game because it was the first chance I had to test out some new gear I loaned from Canon…the 1DX body and the 400 2.8 “II” lens. 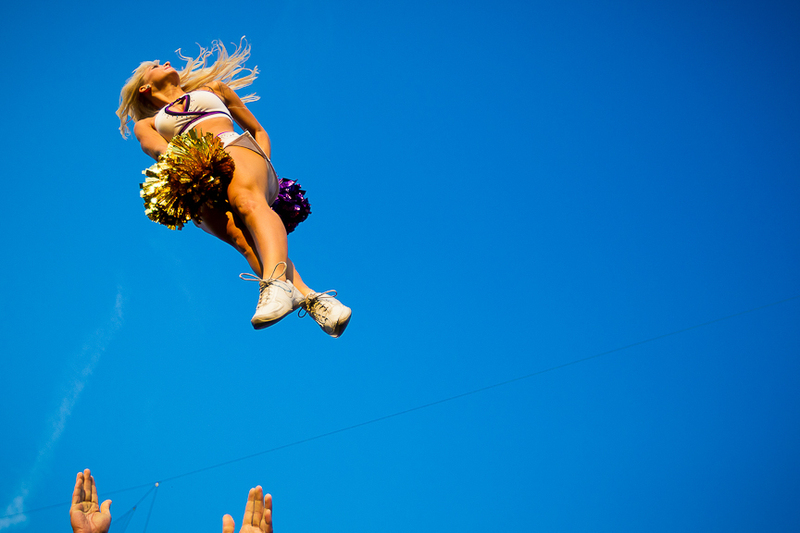 I don’t want to turn this blog post into a equipment review, so I’ll keep it short…WOW. 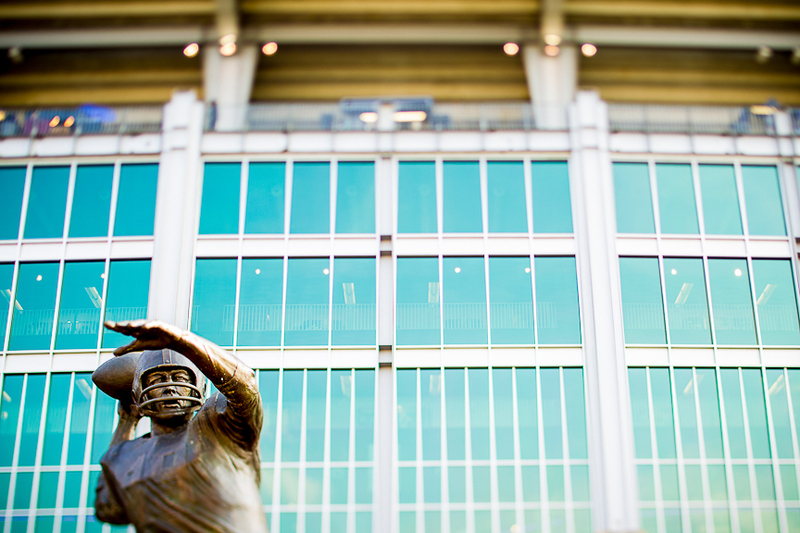 The 1DX has by far the best autofocus performance out of any camera I have ever used. 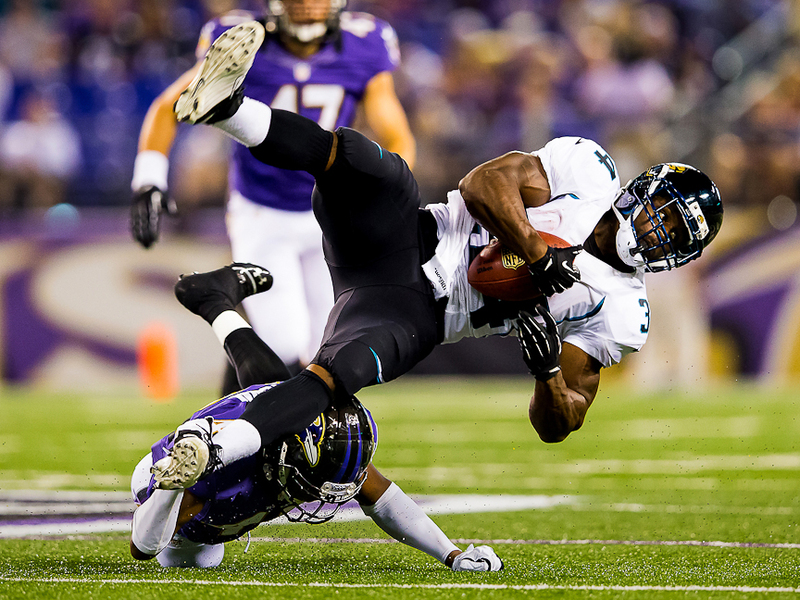 I’m very critical of image focus, and I’ve never had so many sharp images to choose from. 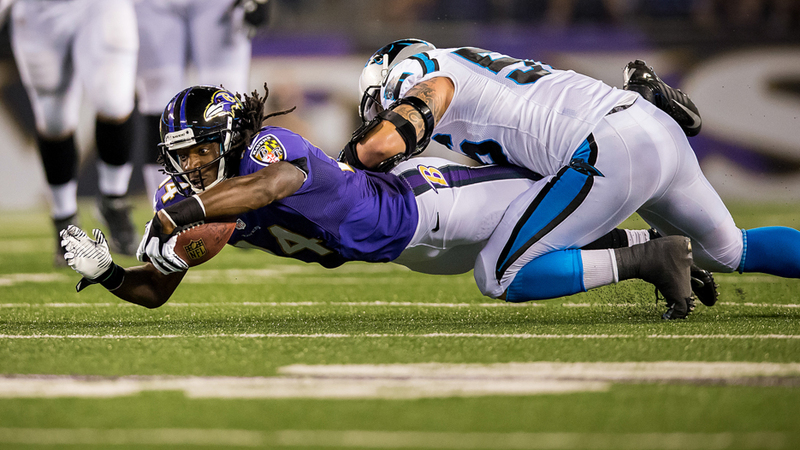 It rarely missed. 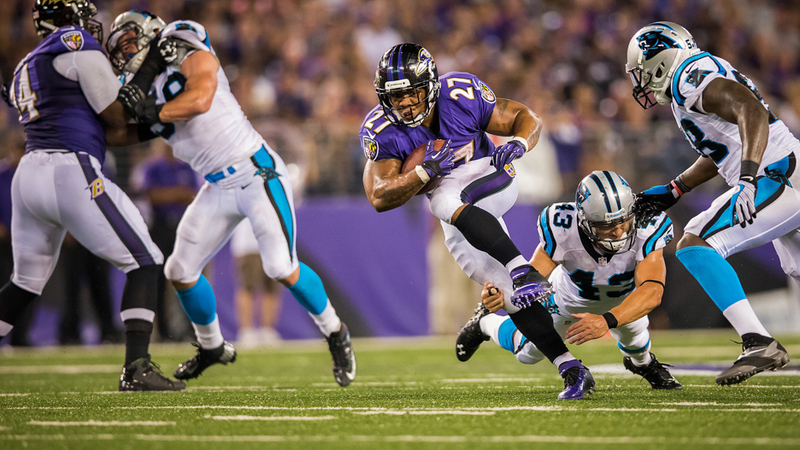 The high ISO performance was impressive as well. 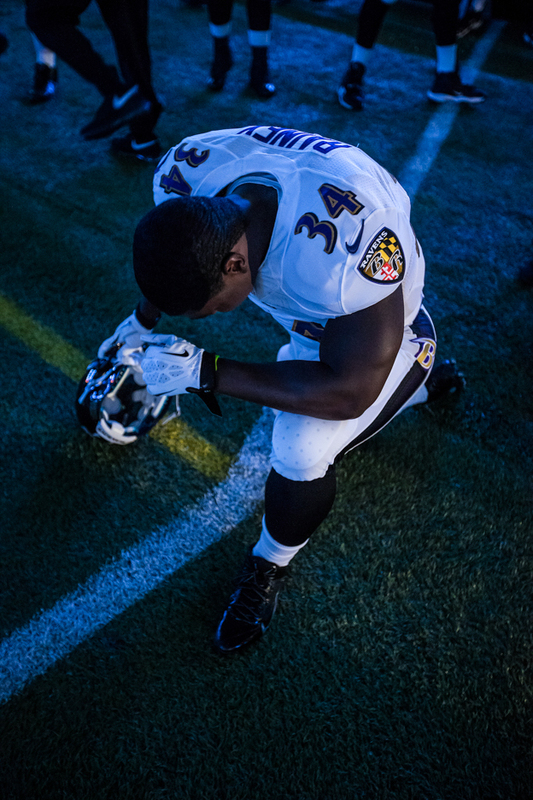 The only thing that I have to get used to is the full frame sensor. 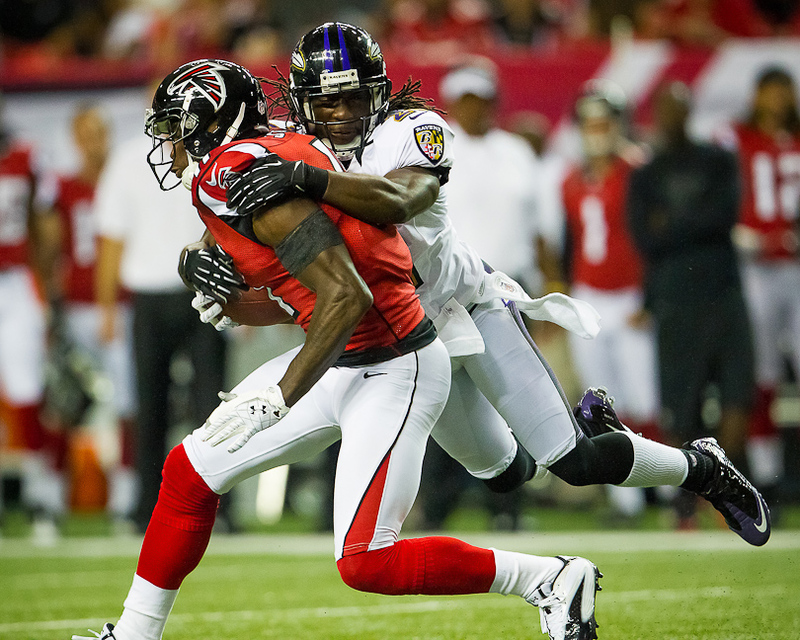 During much of the game I felt like I wasn’t close enough to the action, but thats something that I will adjust to over time, so I’m not worried. 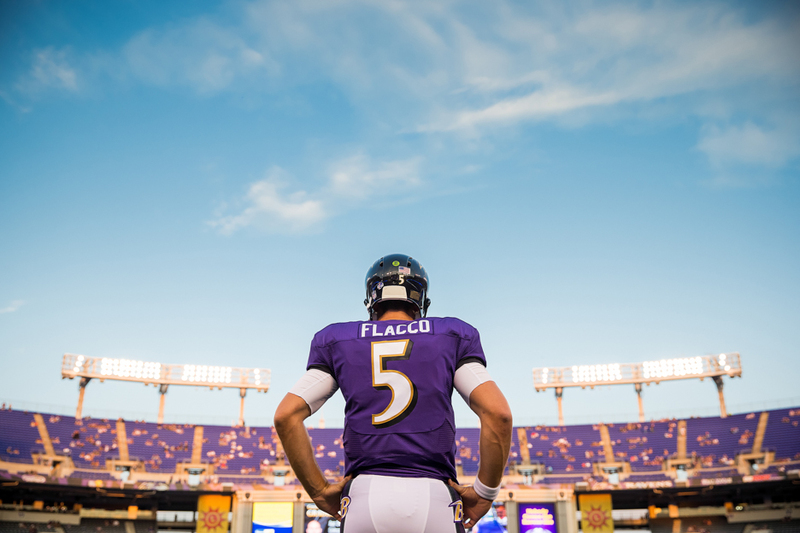 Anyway, I have the camera and lens for another week and a half, but I’ve pretty much decided that I’m going to buy them already. 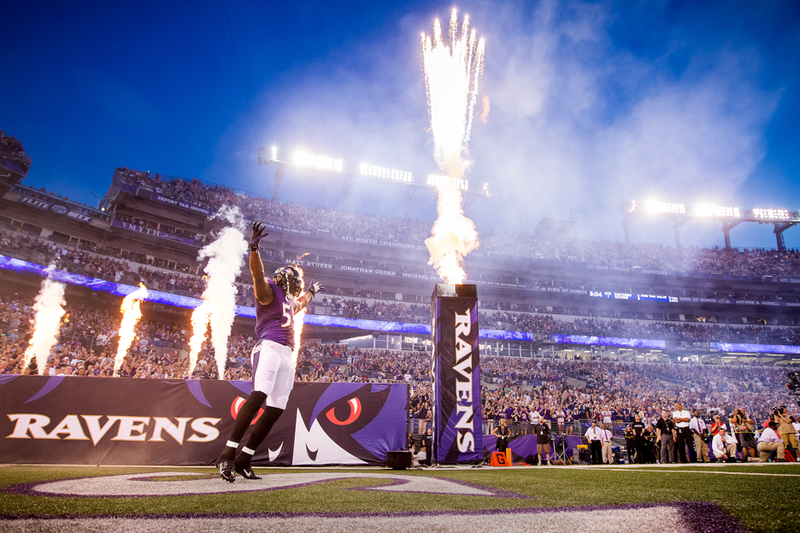 Anything that allows me to capture better images is a worthwhile investment. 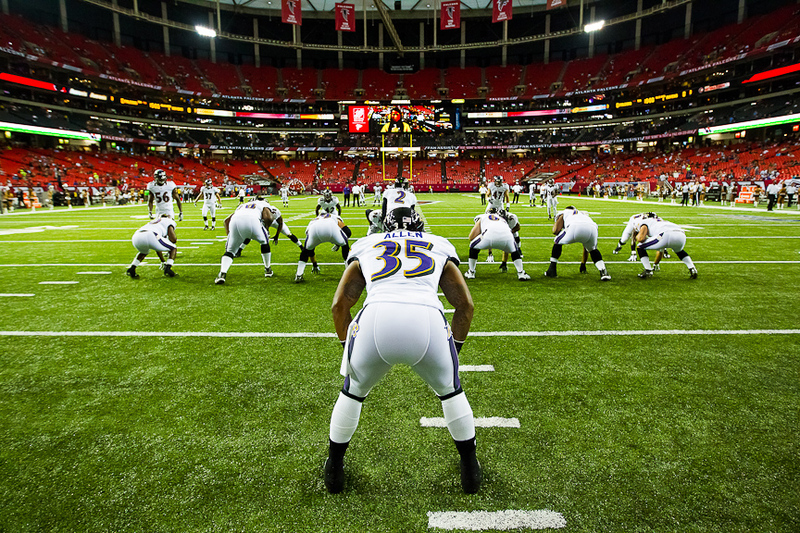 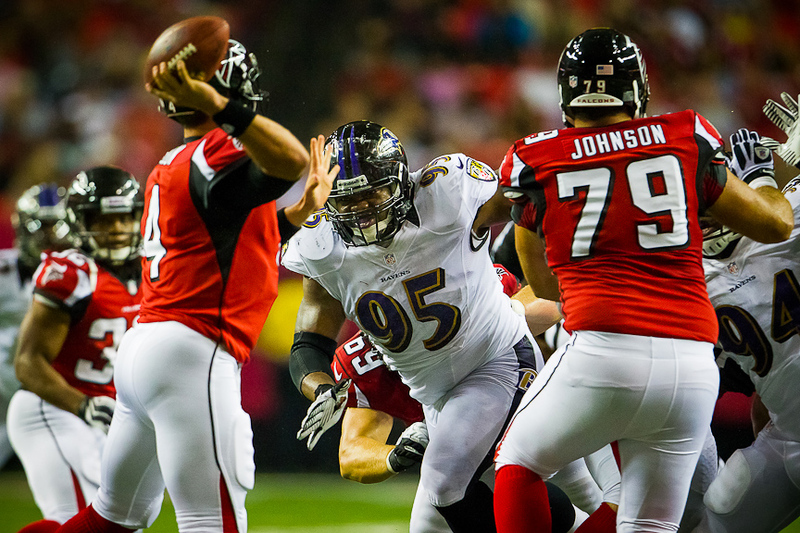 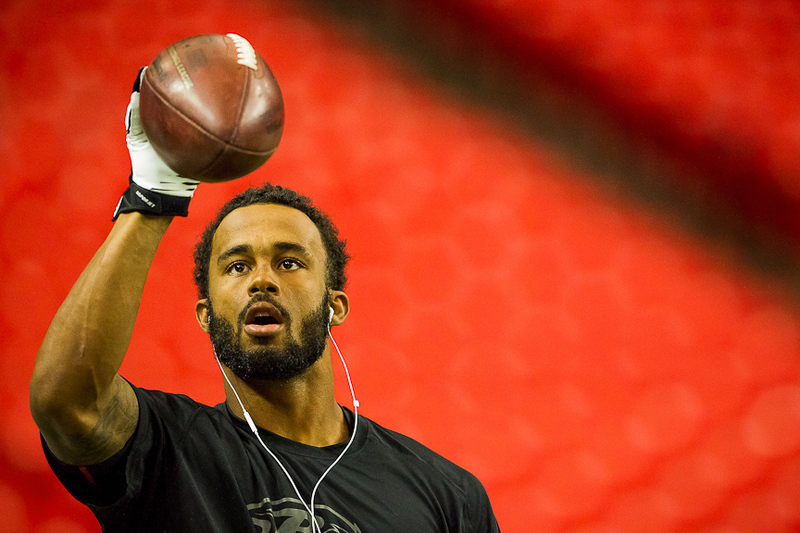 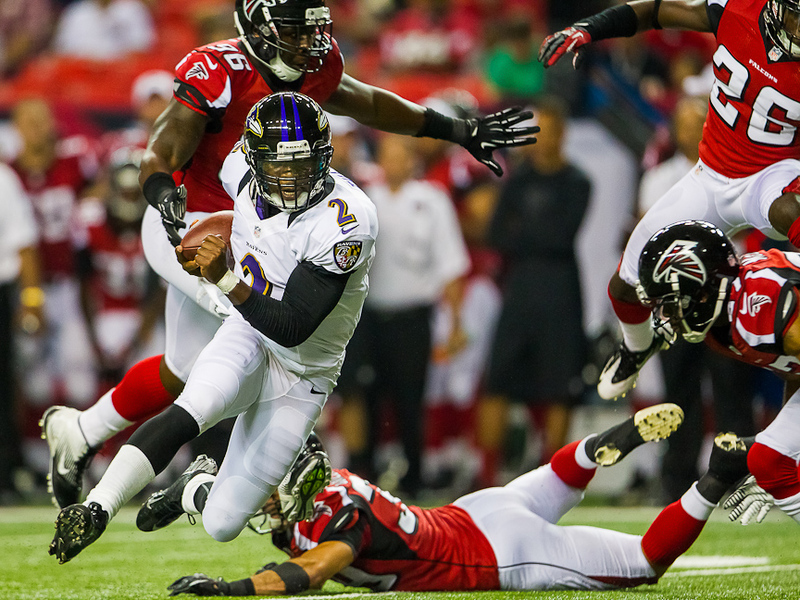 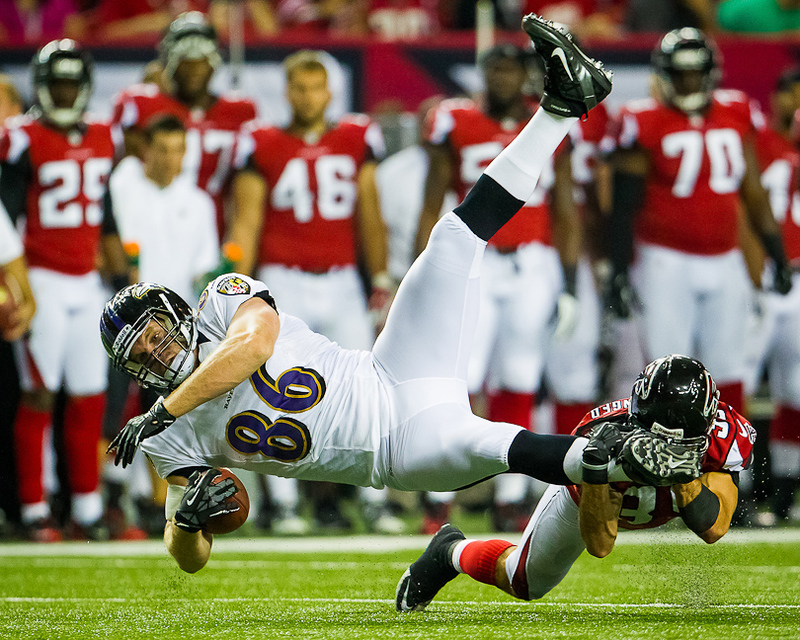 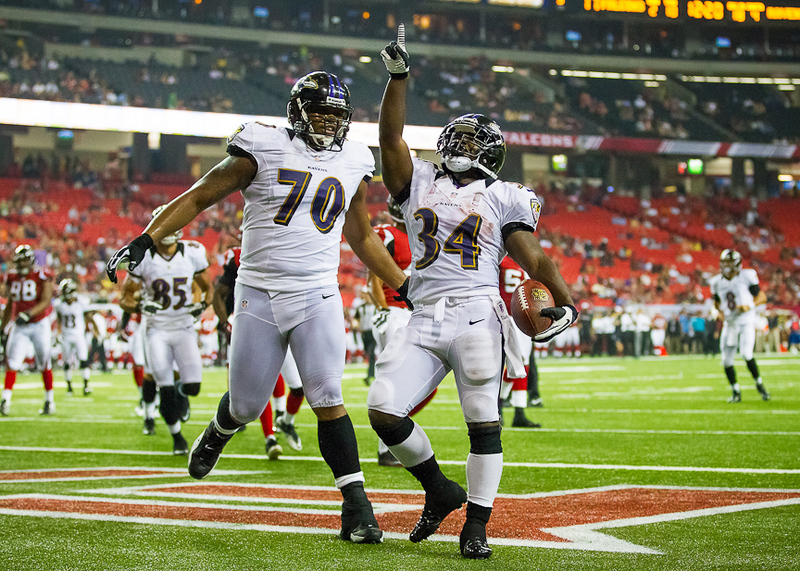 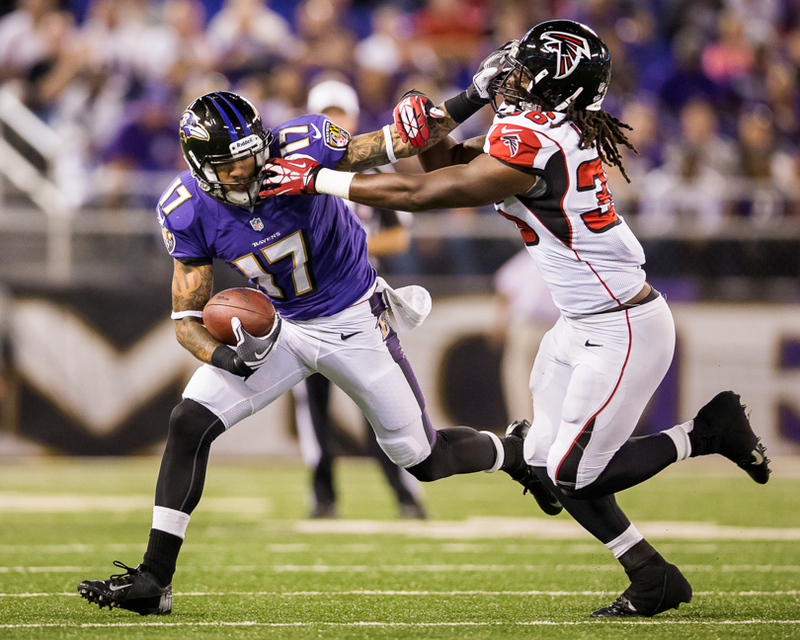 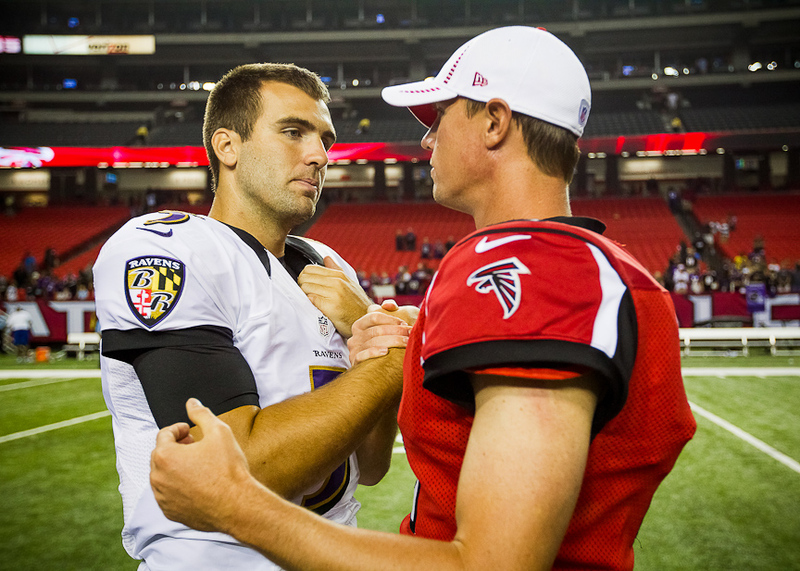 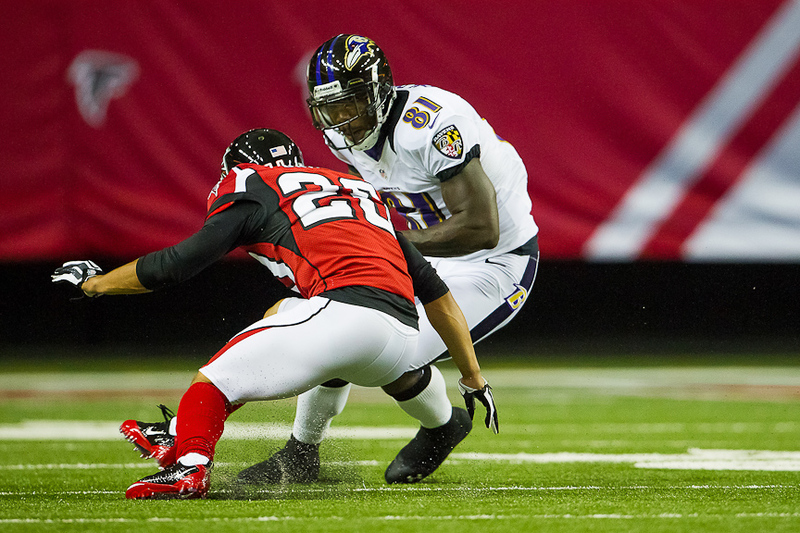 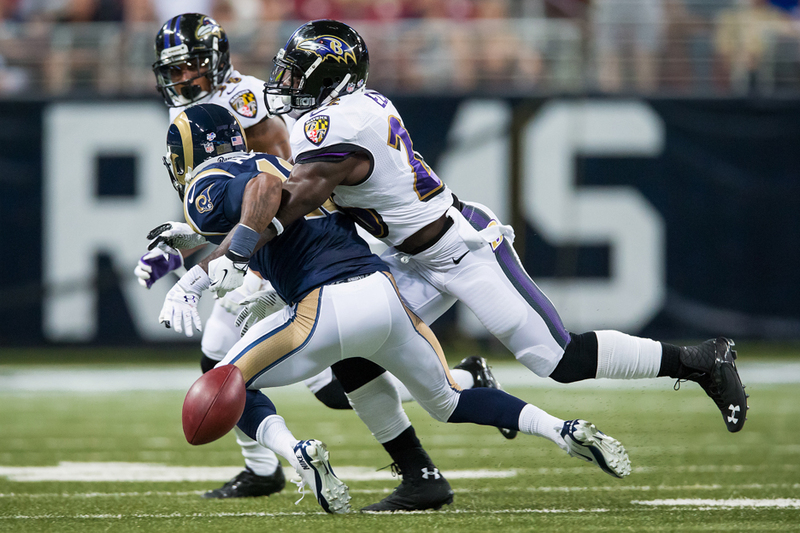 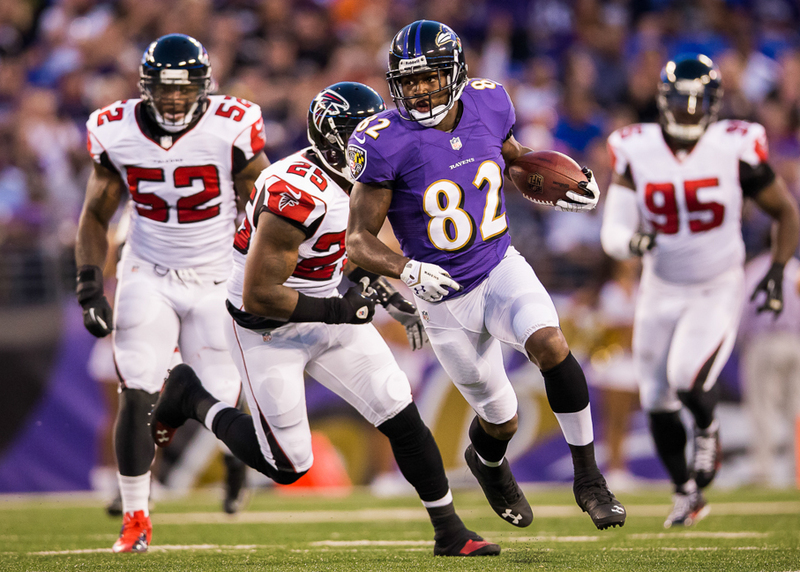 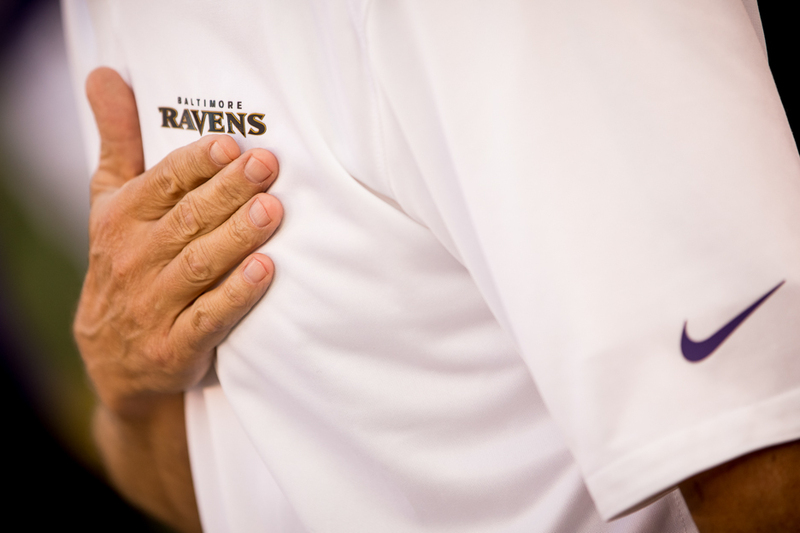 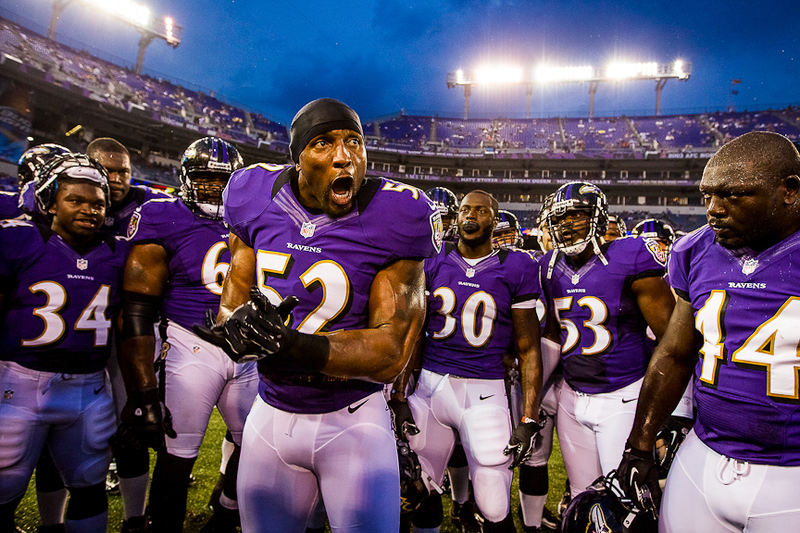 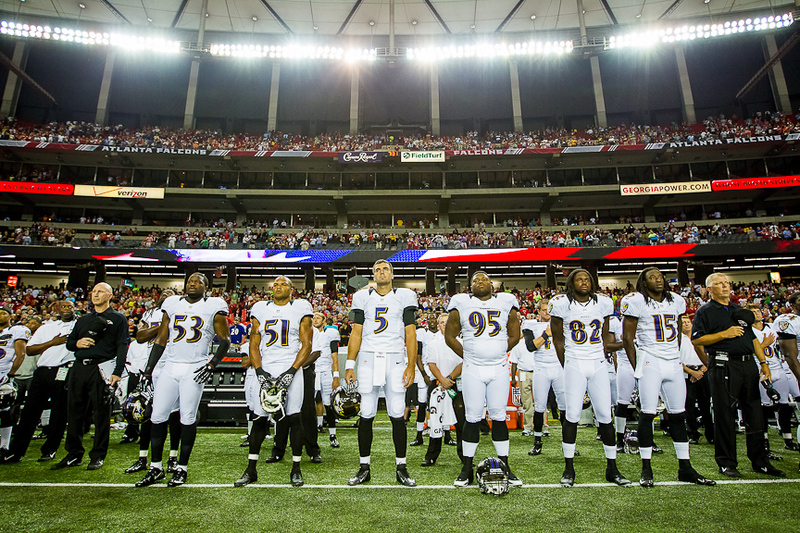 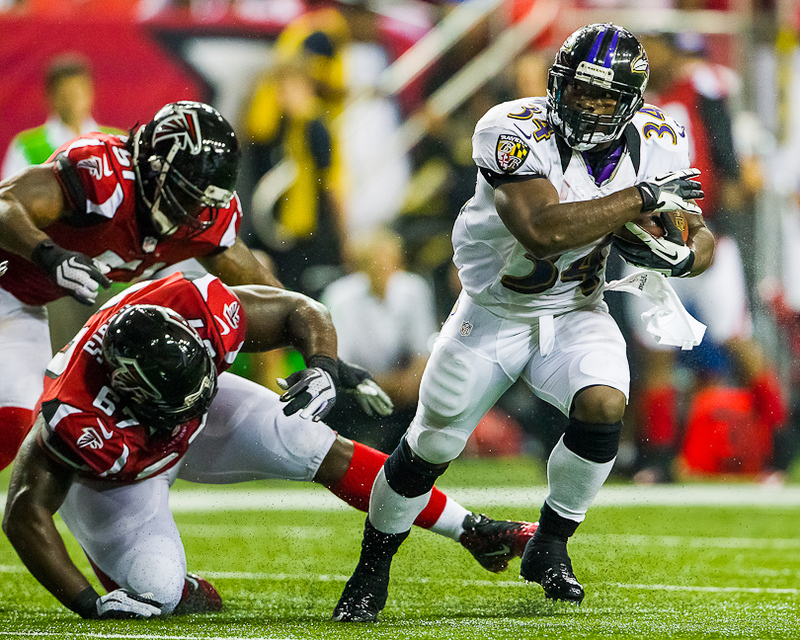 On August 9th, the Ravens officially kicked off the 2012 preseason in Atlanta against the Falcons. 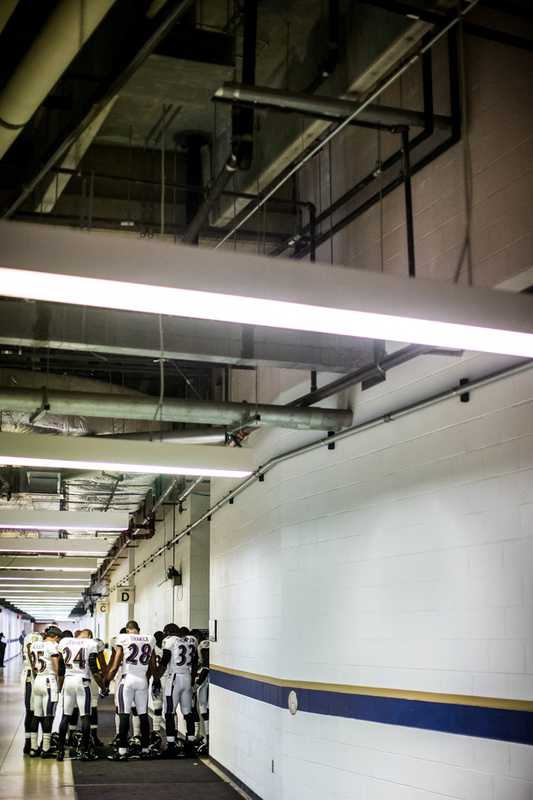 Despite the perception that preseason games are not all that exciting, I still really enjoy shooting games and traveling with the team. 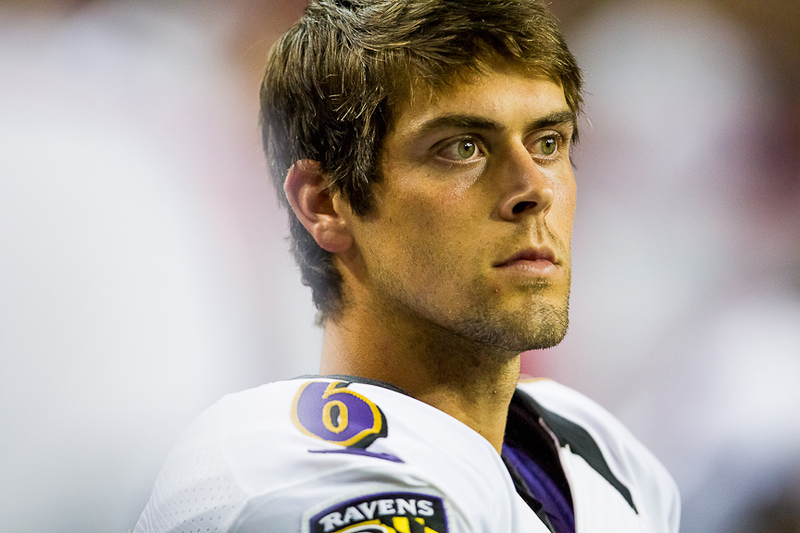 I didn’t really come up with anything special here. 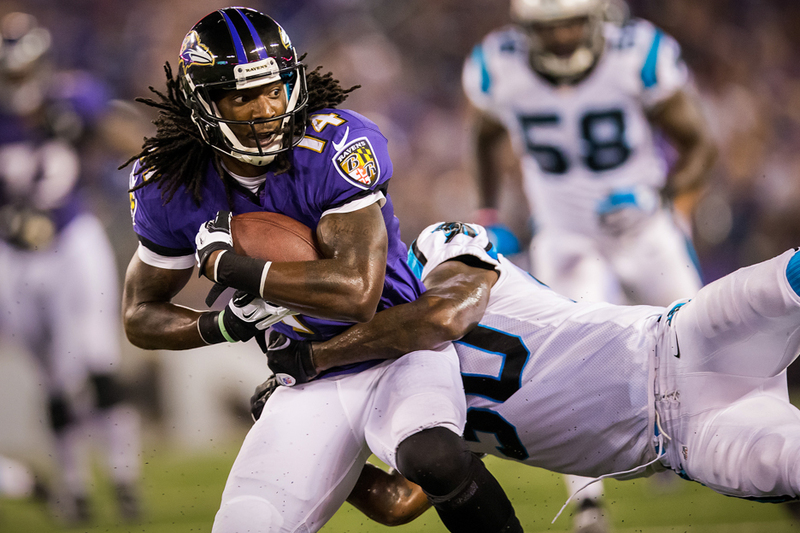 In fact, I almost didn’t blog these images at all…but then again, its just the preseason…and I’m still working on my game too.